一种集成的饮料搅拌系统，包括：用于菜单选择的控制器；冰定量控制模块；配料模块；与冰定量模块和配料模块通信的分送装置，其中，冰和配料经由分送装置分送到饮料容器内；以及至少一个搅拌器模块，所述搅拌器模块在饮料容器中搅拌和/或混合冰和配料，由此生产饮料；其中，在从搅拌器模块移走饮料容器时，搅拌器模块启动清洁模式。 Stirred for an integrated beverage system, comprising: a controller for menu selection; the ice portion control module; ingredient module; ice dosing module ingredient dispensing module in communication with the device, wherein the dosing and dispensing ice through the dispensing device into the beverage container; and at least one blender module, the module was stirred in a stirrer beverage container and / or mixing ice and ingredients, thereby producing a beverage; wherein, when the beverage container is removed from the mixer module, a stirrer module start cleaning mode. 本公开总体上涉及一种用于分送及搅拌/混合饮料调味剂/配料的集成方法和系统，由此生产饮料，例如，思慕雪。 Relates  The present disclosure relates generally to a method for dispensing and stirred / mixed drinks flavor / ingredient an integrated method and system, thereby producing a beverage, e.g., a smoothie. 特别地，本公开涉及包括调味剂/配料分送模块、冰制备及定量控制模块以及搅拌器模块的集成组件，该集成组件能够分送所有主要调味剂/配料，并且可选择地，将机载制成的冰定量并分送到单个托杯内；搅拌和/或混合这种调味剂/配料和冰以形成预选择的饮料；以及在混合后清洁搅拌器轴、叶片和混合室，以避免调味剂污染并且满足健康和卫生规定。 In particular, the present disclosure relates to a flavor / ingredient dispensing module, control module and quantitative preparation of ice and an integrated module of a stirrer assembly, the integration of all major components can be dispensed flavor / ingredient, and optionally, the onboard ice made quantitative and distributed to a single cup holder; stirring and / or mixing such flavor / ingredients and ice to form a pre-selected beverage; and after mixing clean the agitator shaft, blades and the mixing chamber, in order to avoid flavorings pollution and to meet the health and hygiene regulations. 生产例如思慕雪饮品的饮料或饮品包括多个步骤，从始至终，所有阶段都可能发生潜在问题。  production such as a smoothie drink beverages or beverage comprising a plurality of steps, from beginning to end, all potential problems that may occur at all stages. 制备思慕雪需要使用搅拌罐以制得该饮品，意味着需要操作者购买、维护以及储存一些小器具(搅拌器罐）。 Preparation smoothies need to use the mixing tank to prepare the drink, it implies the need for operators to purchase, maintain and store some small appliances (blender jar). 目前技术的局限性还需要从单独的制冰机到思慕雪机的劳动强度大的冰的运输，以在思慕雪机中保持可用冰的水平。 Limitations of current technology also require separate transport from the ice machine to the labor intensity of the smoothie machine large ice to maintain the level of usable ice in the smoothie machine. 由于多种原因使得该冰转运成为问题。 A variety of reasons makes the transport of ice becomes a problem. 首先，需要劳动力将冰通常从后方的储存室运输到餐馆的销售点(POS)柜台区，思慕雪机通常设置在此。 First, the usual transport needs of the labor ice from the rear of the storage room to the restaurant point of sale (POS) counter area, smoothie machine is usually set here. 该冰转运可给雇员带来安全风险，这些雇员会因不正确地搬运沉重的料桶而在湿地板上打滑和摔跤或者自身受到伤害。 The ice transport may pose a security risk to employees, and these employees will slip due to incorrect handling heavy bucket on a wet floor and wrestling or self-harm. 还会因处理不当而增加冰污染的可能性。 It will increase the possibility of the improper handling of contaminated ice. —旦冰到货，雇员必须将估计的量手工地添加到搅拌罐。  - Once ice arrival, an employee must manually add an estimated amount to the mixing tank. 由于冰量未被测量，而是由每个雇员“粗略估计”，因此该配料并不精确，从而使得难以反复生产同样的所经销的饮品。 Since the amount of ice is not measured, but by each employee "rough estimate", this ingredient is not precise, making it difficult to repeatedly produce the same distribution of the drink. 在手工地添加冰之后，果汁和任何另外的水果或调味剂“混入物”也由操作者添加。  After the addition of ice manually, the juice and any additional fruit or flavor "the mix" is also added by operator. 最后，选择杯子的大小，并且注入饮品。 Finally, choose the size of the cup, and injected drinks. 该最后的步骤存在浪费的最大可能。 There is a maximum possible waste of the last step. 由于雇员必须用手定量配料，因此，任何过剩的饮品都留在搅拌器罐中。 Because the employee must hand dosing, therefore, any excess blender drinks are left in the tank. 在该手工操作期间的每一步中，定量控制受到连累，并且钱也被潜在地浪费在过量的配料上。 In each step during this manual operation, the quantitative control compromised, and money is potentially wasted on excess ingredients. —旦完成订单并且顾客拿到他的或她的饮料，还有最后一个步骤以结束处理一一每次使用之后人工清洁搅拌器罐的方法，以防止调味剂和细菌的转移。  - once after the completion of customer orders and get his or her drink, there is one last step to end the processing eleven each use artificial methods to clean blender jar to prevent transfer of flavors and bacteria. 通常，为节省时间， 搅拌器罐在洗涤槽中冲洗，洗涤槽可包括卫生设施。 Typically, to save time, the blender canister flushing washing tank, the wash tank may comprise sanitary facilities. 虽然这可能看起来不重要，但如果顾客有食物过敏，调味剂污染会是严重的威胁。 While this may seem unimportant, but if customers have food allergies, flavoring pollution is a serious threat. 清洗过程的另一缺陷在于，其涉及操作员方面的基本时间和劳动量。 Another drawback is that the cleaning process, which involves the basic amount of operator time and labor aspects. 在该处理中，用于生产思慕雪的每一步花费的时间通常为四到五分钟，这段时间能够更好地花费在服务顾客或取拿更多食物及饮料单上，直接地有助于最终效益。  In this process, the time spent at each step of the production smoothie is usually four to five minutes, this time can be better spent on serving customers or to take hold more food and drink list, directly contribute to the bottom line. 虽然诸如思慕雪的优质饮料正在流行，但是大多数的快餐店(QSRs)由于快餐领域的时间限制不能向顾客提供这些选择。  Although high-quality beverages such as smoothies are popular, but most fast-food restaurants (QSRs) due to time limit the field of fast food can not provide these options to customers. 那些选择供应思慕雪的QSR店主面临一系列相同的挑战一一主要是如何用现有的劳力和设备限制来反复出售同样的所经销的饮品。 Those QSR supply smoothie shop owner to select a series of faces the same challenge is how to use existing eleven major labor and equipment to repeatedly sell the same limit the distribution of drinks. 因此，本公开已经确定，需要一种组件，该组件在一个集成的系统中分送并混合饮料调味剂/配料与冰，随后自清洁以便即刻再用，而没有随后的调味剂污染。  Accordingly, the present disclosure has been determined, a need for an assembly and dispensing a mixed beverage flavor / ingredients with ice in an integrated system, followed by self-cleaning for immediate reuse without subsequent flavor contamination . 通过本公开已进一步地确定，需要一种均匀地分送冰的分送冰用组件。 It has further been determined by the present disclosure, a need for a dispensing assembly with the ice uniformly dispensing ice. 通过本公开还已确定，另外需要一种用于混合饮料的组件，能够自动地冲洗/清洁/消毒搅拌器壳体、搅拌器轴以及搅拌器叶片。 It has also been determined by the present disclosure, an assembly additionally required for mixed drinks, can be automatically flushing / cleaning / sanitizing stirrer housing, the agitator shaft and agitator blades. —种集成的饮料搅拌系统，包括:至少一个系统控制器;冰定量模块;配料模块;与冰定量模块和/或配料模块通信的分送装置;具有集成的清洁装置的搅拌器模块。  - species stirred integrated beverage system, comprising: at least one system controller; ice dosing module; ingredient module; ice dosing module and / or the dispensing means communicating ingredient; agitator module with integrated cleaning apparatus . 优选地，来自冰定量模块的冰和来自配料模块的至少一种配料经由分送装置分送到饮料容器内；并且，具有冰和配料的饮料容器放置在搅拌器模块中，用于搅拌和/或混合饮料容器中的冰和配料，由此生产饮料。  Preferably, the ice from the ice dosing module and at least one ingredient from the ingredient dispensing module via the means distributed to the beverage container; and, with ice and a beverage container is placed in a blender the ingredients module, for stirring and / or mixing ice and beverage container ingredients, thereby producing a beverage. 当从搅拌器模块移走饮料容器时，系统经由清洁装置启动搅拌器模块的清洁模式。  When the beverage container is removed from the mixer module, the system starts the cleaning mode stirrer module via the cleaning device. 该系统还包括与冰定量控制模块通信的制冰器。  The system further comprises control the ice maker and ice quantification module in communication. 系统还包括与冰定量控制模块通信的碎冰器/碾冰器。 The system further includes a control module in communication with the quantification of ice an ice / Nianbing device. 系统还包括与冰定量控制模块通信的削冰器。 The system further includes a control module in communication with the quantitative ice ice cutting. 系统还包括与冰定量控制模块通信的薄片冰或方块冰装置。 The system further includes a sheet of ice or ice cubes and ice portion control module means for communication. 集成模块分送至少一种饮料调味剂和/或其它配料。  The integrated module of at least one beverage dispensing flavoring and / or other ingredients. 饮料容器优选为接收分送的冰和配料的单个托杯，并用于在搅拌模块中搅拌饮料，随后直接交付给消费者，由此避免转移到另一个托杯的需要，而且还避免在使用之后清洁单个托杯的需要。 Beverage container is preferably a single cup holder receiving and dispensing ice ingredients, and stirring for agitating the beverage in the module, then delivered directly to the consumer, thereby avoiding the transfer to another hypanthium needs, but also after use to avoid clean single hypanthium needs. 优选地，系统控制器包括具有触摸屏显示器的菜单选择控制器，用于饮料选择的定制。  Preferably, the system controller includes a touch screen display of the menu selection controller for selecting the customized beverage. 配料模块包括:壳体、布置在壳体内的至少一个配料容器、布置在配料容器与分送装置之间的配料导管、以及使配料在压力和/或重力下从配料容器、通过配料导管并运动到分送装置内的致动器。  Ingredients module comprising: a housing, disposed within the housing at least one ingredient container, ingredient conduit disposed between the metering vessel and the dispensing means and causing the ingredients at a pressure and / or gravity ingredient from the container, through batching and movement of the catheter to the actuator in the dispensing apparatus. 冰定量控制模块包括:用于储存冰的冰料箱;冰料箱的可转动基座，该可转动基座具有至少一个定量控制隔室;至少一个校平叶片，校平叶片确保冰在每个定量控制隔室内的体积一致;分送口，在选择的定量控制隔室与分送装置之间连通，由此允许隔室中的冰分送到分送装置内；以及与控制器通信的传感器，该传感器确定分送到分送装置内的冰的量。  The ice portion control module comprising: means for storing ice ice bin; ice bin a rotatable base, the base having at least one rotatable quantitative control compartment; at least one straightening vane, ensure leveling blade ice consistent quantitative control in each compartment volume; dispensing port, quantitative control communication between the compartment and the dispensing means selected, thereby allowing the ice compartment is dispensed into the dispensing means; and control a sensor in communication, the sensor determines the amount of ice within dispensing apparatus to points. 优选地，搅动器用于防止冰料箱中的冰冻结，冻结将阻止冰进入可转动基座内。  Preferably, the agitator in the tank to prevent the ice frozen ice, frozen into the ice will prevent the rotatable susceptor. 可选择地，冰定量控制模块包括:用于储存冰的冰料箱，冰料箱采用一个或更多个斜壁以将冰喂送到分送口内，由此允许隔室中的冰分送到分送装置内；以及与控制器通信的传感器，该传感器确定分送到分送装置内的冰的量。  Alternatively, the ice portion control module comprises: means for storing ice ice bin, an ice bin of one or more of the inclined wall to the ice fed into the dispensing port, thereby allowing the compartment and ice to the dispensing means; and a sensor in communication with the controller, the sensor determines the amount of ice within dispensing apparatus to points. 可转动基座由一对相对布置的第一板和第二板形成，其中，一个或更多个隔室由布置在第一板与第二板之间的至少一个侧壁形成，其中，第一板包括与每个隔室相联的开口，以允许冰从料箱运动到每个隔室内，并且，第二板包括排水孔，排水孔允许水从布置在每个隔室内的冰排出。  The base may be formed by a pair of rotatable plate disposed opposite the first and second plates, wherein the one or more compartments formed by at least one side wall disposed between the first plate and the second plate, wherein the first plate and each compartment comprises associated opening to allow movement of the ice from the hopper into each compartment, and the second plate comprises a drain hole, to allow water from the drain hole is arranged in each compartment ice discharge. 可选择地，可转动基座由板和至少一个隔室形成，其中，隔室由附接到板的至少一个侧壁形成，板包括与隔室相联的开口，以允许冰从料箱运动到隔室内，并且，隔室包括排水孔，排水孔允许水从布置在隔室内的冰排出。  Alternatively, the base may be rotated at least one compartment is formed by a plate and, wherein the compartment is attached to at least one side wall forming plate, comprising a plate associated with a compartment opening to allow the ice from the magazine is moved to the compartment, and the compartment comprises a drain hole, the drain hole is arranged to allow water discharge from the ice compartment chamber. 冰定量控制模块还包括:连接到转动可转动基座的电机上的可转动轴；以及确保冰的一致定量的至少一个校平叶片，其中，第一板和侧壁与可转动轴一起转动，而第二板保持静止，并且，分送口布置在第二板内，以在隔室与分送口对准时允许每个隔室的内含物从每个室排除。  Quantitative ice control module further comprises: a rotatable shaft coupled to the motor rotates the rotatable base; and ensuring a consistent amount of ice at least a leveling blade, wherein the first plate and the side wall and the rotatable shaft rotate together, while a second plate remains stationary, and the dispensing port disposed within the second plate, aligned to allow the contents of each compartment is removed from the compartment in each chamber and the dispensing opening. 可选择地，冰定量控制模块还包括:连接到转动可转动基座的电机上的可转动轴； 以及确保冰的一致定量的至少一个校平叶片，其中，板和侧壁与可转动轴一起转动，并且， 分送口布置在板内，以在隔室与分送口对准时允许每个隔室的内含物从每个室排除。  Alternatively, the ice portion control module further comprises: a rotatable shaft coupled to the motor rotates the rotatable base; and ensuring a consistent amount of ice at least a leveling blade, wherein the plate and the sidewall may be together with the rotation axis, and the dispensing opening is arranged in the plate, aligned to allow the contents of each compartment from each chamber to exclude the compartment and the dispensing port. 搅拌器模块包括:壳体;提供通向壳体内部的通道的门；转轴和叶片，用于搅拌和/ 或混合冰和配料以形成饮料;围绕转轴布置的容器密封件，该容器密封件能够在搅拌和/或混合过程中密封饮料容器并防止饮料容器围绕转轴转动；以及容器保持器。  The agitator module comprising: a housing; providing a door passage to the interior of the housing; and a blade shaft, for stirring and / or mixing the ingredients to form the beverage and ice; container seal disposed about the axis of the container a sealing member capable of sealing stirring and / or mixing process of the beverage container and beverage containers to prevent rotation about the axis; and a container holder. 可选择地，搅拌器模块包括:壳体;提供通向壳体内部的通道的门；转轴和叶片，用于搅拌和/或混合冰和配料以形成饮料;围绕转轴布置的容器密封件，该容器密封件能够在搅拌和/或混合过程中密封单个托杯并防止单个托杯围绕转轴转动；以及容器保持器。  Alternatively, the agitator module comprising: a housing; providing a door passage to the interior of the housing; and a blade shaft, for stirring and / or mixing the ingredients to form the beverage and ice; disposed about the axis of the sealed container member, the container seal is capable of stirring and / or mixing process and prevent the seal single hypanthium rotate about a single cup holder shaft; and a container holder. 该系统还包括连接到容器保持器上的水和/或清洁和/或消毒溶液供给系统，用于在完成搅拌或混合每种饮料之后，清洁和/或消毒至少壳体的内部、转轴、叶片和容器密封件。  The system further comprises a connection to a container holding water and / or cleaning and / or sanitizing solution supply system on the device, for internal mixing or stirring after completion of each beverage, cleaning and / or disinfecting at least a housing, shaft, the blade and the container seal. 优选地，在最后的混合程序以及门返回到关闭位置之后激活清洁模块。  Preferably, after the final mixing procedure returns to the closed position and a door cleaning module activation. 系统还包括至少一个饮料容器保持器。 The system further comprises at least one beverage container holders. 系统控制器基于来自系统控制器的菜单选择提供冰定量模块、配料模块和搅拌器模块之间的集成控制。  Based on the menu selection system controller from the system controller provides integrated control of ice between the dosing module, and a stirrer ingredient module modules. 系统控制器还激活清洁装置。 The system controller also activates the cleaning device. 该系统还包括与系统控制器通信的销售点设备，由此在销售点设备处获取的饮料定单启动系统控制器内的菜单选择。  The system controller further includes a point of sale device with a communication system, thereby initiating the system controller in the menu selection in a beverage orders acquired at point of sale device. 搅拌器模块基于与系统控制器通信的搅拌和/或混合指令，搅拌和/或混合饮料容器中的冰和配料。  The module is based on a stirrer with stirring and / or mixing instructions controller communication system, stirring and / or mixing ice and beverage container ingredients. 分送装置是分送喷嘴，分送嘴包括冰分送导管和围绕冰分送导管布置的多个配料导管，其中，每个配料导管与其它配料导管和冰分送导管隔离，由此避免配料污染。  The dispensing means is a dispensing nozzle, dispensing nozzle includes an ice dispensing conduit and a plurality of ingredient dispensing conduits around the ice duct arrangement, wherein each of the ingredients with the other ingredients of the catheter conduit and ice dispensing conduit isolated from this ingredient to avoid contamination. 配料导管包括围绕配料导管布置的热传递装置，由此控制通过配料导管的配料的温度。 Ingredient conduit surrounding the heat transfer means comprises a conduit arranged in the ingredients, thereby controlling the temperature of the ingredients through the dosing conduits. 系统还包括同时或独立操作的多个搅拌器模块。  The system further comprises a plurality of simultaneous or independent operation of the stirrer modules. 系统还包括同时或独立操作的多个分送装置和具有集成的清洁装置的多个搅拌器模块。 The system further includes a plurality of agitator or more modules simultaneously independently operating and dispensing device with an integrated cleaning device. 当使用多个搅拌器模块时，该系统还包括指示器，能够产生指示哪个搅拌器模块在使用或不在使用的信号。 When a plurality of modules with a stirrer, the system further includes an indicator, capable of generating a signal indicative of the use or not use a stirrer which the module. 搅拌器模块包括可变速度和方向的电机，用于运动转轴。 Blender module comprises a variable motor speed and direction of movement for the rotating shaft. 一种用于生产至少一种饮料方法，该方法包括:从菜单选择饮料;基于菜单选择， 将冰和/或至少一种配料定量和/或分送到饮料容器内；将具有冰和饮料配料的饮料容器定位在搅拌器模块的壳体的内部，搅拌器模块包括集成的清洁装置;在饮料容器布置在搅拌器模块中的同时，搅拌和/或混合饮料容器中的冰和配料，由此生产饮料；以及，启动清洁模块，其中，在搅拌和/或混合过程完成并且从搅拌器模块移走饮料容器时，清洁搅拌器模块的内部，用于后续使用。  A process for producing at least one beverage, the method comprising: selecting from the menu a beverage; menu selection based on the ice and / or at least one ingredient quantitative and / or dispensed into a beverage container; having ice beverage ingredients and beverage container positioned within the housing of the blender module, the module comprises an integrated agitator cleaning means; beverage container while the stirrer is arranged in the module, stirring and / or mixing ice and beverage container ingredients , thereby producing a beverage; and start cleaning module, wherein, during stirring and / or mixing process is completed and the beverage container is removed from the mixer module, the stirrer internal cleaning module, for subsequent use. 饮料容器是单个托杯，在单个托杯中搅拌和/或混合饮料，此后在杯子中直接供给消费者。  The beverage container holder is a single cup, the cup holder in a single stirred and / or mixed drinks, thereafter supplying consumers directly in the cup. 该方法还包括在冰的定量和/或分送步骤之前生产冰的步骤。  The method further comprises the quantification of ice and / or in the step prior to dispensing ice production step. 菜单显示在触摸屏上，用于饮料选择的定制。  menu is displayed on the touch screen, used to customize the beverage of choice. 该方法还包括防止冰料箱中的冰冻结的搅动器，冻结将阻止冰进入可转动基座内。  The method further includes preventing ice frozen ice bin agitator, to prevent freezing of the ice into the rotatable within the base. 搅拌和/或混合以及清洁和/或消毒模式发生在搅拌器模块中，搅拌器模块包括： 壳体;提供通向壳体内部的通道的门；转轴和叶片，用于搅拌和/或混合冰和配料以形成饮料;围绕转轴布置的容器密封件，该容器密封件能够在搅拌和/或混合过程中密封饮料容器并防止饮料容器围绕转轴转动；以及容器保持器。  stirring and / or mixing and cleaning and / or sterilization mode occurs in a mixer module, the agitator module comprising: a housing; providing a door passage to the interior of the housing; and a blade shaft, for stirring and / or mixing ingredients to form a beverage and ice; shaft seal disposed around the container, the container seal is capable of sealing the beverage container with stirring and / or mixing process and prevent the beverage container is rotated about the axis; and a container holder. 该方法还包括将水和/或清洁和/或消毒溶液供给到容器保持器，用于在使用后清洁和/或消毒至少壳体的内部、转轴、叶片和容器密封件。  The method further comprises water and / or cleaning and / or disinfecting solution is fed into the container holder, after use for cleaning and / or sterilizing at least the inside, the rotary shaft, the blade and the container seal housing. 该方法还包括步骤:在最后的搅拌和/或混合程序以及门返回到关闭位置之后激活清洁t吴块。  The method further comprises the step of: after the final stirring and / or mixing procedure returns to the closed position and a door t Wu activated cleaning block. 控制器提供菜单选择、冰的定量和分送、基于菜单选择的配料的分送与基于菜单选择的搅拌和/或混合之间的集成控制。  The controller provides a menu selection, quantification and dispensing ice, dispensing menu selection based ingredients and integrated control between the stirring and / or mixing based on the selected menu. 该方法还包括经由控制器激活清洁模块的步骤。  The method further comprises the step of cleaning activation via the controller module. 优选地，从销售点设备自动完成从菜单选择的步骤。 Preferably, the step of automatically selecting the menu from the point of sale device. 优选地，通过分送装置执行分送冰和配料的步骤，其中，分送装置是分送喷嘴，分送嘴包括冰分送导管和围绕冰分送导管布置的至少一个配料导管，配料导管与任何其它配料导管和冰分送导管隔离，由此避免配料污染。  Preferably, the dispensing device performing the step of dispensing ice and ingredients, wherein the dispensing means is a dispensing nozzle, dispensing nozzle includes an ice dispensing conduit and a dispensing conduit disposed around the ice at least one ingredient conduit, and any other ingredient conduits ingredient conduit and dispensing conduit ice isolation, thereby avoiding contamination of the ingredients. 优选地，多种饮料分阶段或同时生产。  Preferably, a plurality of beverage production stages or simultaneously. 该方法还包括，当基本上同时生产多种饮料时，同时操作多个搅拌器模块的步骤。 The method further comprises, when substantially simultaneously produce a variety of beverages, the step of simultaneously operating a plurality of the stirrer modules. 当分阶段生产多种饮料时，包含冰和配料的饮料容器(a)被搅拌和/或混合或者(b)被清洁和/或消毒，同时，另外的饮料容器填充冰和/或配料。 When more beverage production stages, the beverage container (a) comprises ingredients are stirred and ice and / or mixing, or (b) is cleaned and / or disinfected at the same time, additional beverage container filled with ice and / or ingredients. 当使用多个搅拌器模块时，还提供指示哪个搅拌器模块在使用或不在使用的信号。 When a plurality of modules with a stirrer, a signal is also provided the use of a stirrer which is not being used or module indicated. 搅拌器模块包括可变速度和方向的电机，以运动转轴。  module comprises a variable agitator speed and direction of the motor, to move the shaft. —种冷藏饮料和搅拌系统，包括:用于系统操作的控制器;使用容积式方法的冰定量模块;配料模块;与冰定量控制模块和配料模块通信的分送装置，其中，冰和配料经由分送装置分送到饮料容器内；以及具有集成的清洁装置的至少一个搅拌器模块，搅拌和/或混合饮料容器中的冰和配料，由此生产饮料。  - species and stirring chilled beverage system comprising: a controller for operation of the system; using an ice dosing module displacement method; ingredient module; ice and portion control module and communications module ingredient dispensing device, wherein the ice via a dosing and dispensing device is distributed to the beverage container; agitator and at least one module with integrated cleaning means, stirring and / or mixing ice and beverage container ingredients, thereby producing a beverage. 可选地，冰定量控制模块包括：用于储存冰的冰料箱;冰定量分送系统，冰定量分送系统包括倾卸梁，当等重量的冰分送到倾卸梁的一侧上时，另一侧上的平衡锤被平衡，使冰倾卸到分送装置内。  Alternatively, the ice portion control module comprises: means for storing ice to an ice bin; ice quantitative dispensing system, the dispensing system comprising an ice quantitative beam dump, when an equal weight of ice is distributed to the beam dump when one side, on the other side of the counterweight is balanced, it dumped into the ice dispensing device. 优选地，倾卸的次数用于提供所需的定量;并且还包括分送口，分送口在选择的定量控制隔室与分送装置之间连通，由此允许隔室中的冰分送到分送装置内； 以及与控制器通信的传感器，该传感器确定分送到分送装置内的冰的量。 Preferably, the number of dumping required for providing quantitative; and further comprising a dispensing port, the dispensing port communicating between the compartment and the quantitative control of the dispensing means selected, thereby allowing the ice dispenser compartment into the dispensing apparatus; and a sensor in communication with the controller, the sensor determines the amount of ice within dispensing apparatus to points. 冰定量控制模块包括：用于储存冰的冰料箱，冰料箱采用斜壁以将冰喂送到在所选择的定量控制隔室与分送装置之间连通的分送口内，由此允许隔室中的冰分送到分送装置内；以及与控制器通信的传感器，该传感器确定分送到分送装置内的冰的量。  The ice portion control module comprising: means for storing ice ice bin, an ice bin with oblique walls are fed into the ice dispensing opening between the compartments and the quantitative control of the dispensing device to the selected communication, thereby allowing the ice compartment is dispensed into the dispensing apparatus; and a sensor in communication with the controller, the sensor determines the amount of ice within dispensing apparatus to points. 定量控制隔室布置在分送口内，并包括布置在分送口上方或下方的多个可转动板。 Quantitative control compartment disposed within the dispensing port and including a plurality of disposed above or below the dispensing port can be rotatable plate. 该分送口具有预定容积。 The dispensing opening having a predetermined volume. 系统还包括在分送口中的与控制器通信的至少一个传感器，该传感器检测冰的存在并使板运动。 The system further comprises at least one sensor in communication with the dispensing mouth of the controller, the sensor detects the presence of ice and plate movement. 与分送口通信的控制器确定分送的冰的体积。 Determining the volume of dispensed ice dispensing opening in communication with the controller. —种集成的饮料搅拌系统，包括：用于系统操作的控制器;冰定量模块，用于冰的定量和分送;配料模块，用于至少一种配料的定量和分送;单个供应容器;与冰定量模块和/ 或配料模块通信的分送装置，用于将冰和配料分送到单个供应容器内；以及具有集成的清洁装置的搅拌器模块，其中，搅拌器模块搅拌和/或混合单个供应容器中的冰和配料，以交付给的消费者。  - species stirred integrated beverage system, comprising: a system controller for operation; ice dosing module, and for quantitative dispensing of ice; module ingredient, at least one ingredient for dispensing and quantification; single supply container; ice dosing module and / or the dispensing means communicating the ingredients, the ingredients for ice and dispensed into a single supply container; module integrated with a stirrer and a cleaning apparatus, wherein, a stirrer and a stirring module / or mixed in a single container supply ice and ingredients, for delivery to consumers. 提供用于分送和混合饮料的组件，包括作为一个集成组件的冰分送器组件、调味剂/配料分送模块和搅拌器模块。  The mixing assembly is provided for dispensing the beverage and, as an integrated component comprising an ice dispenser assembly, flavor / ingredient dispensing module and a stirrer modules. 还提供用于分送冰的组件，包括一个或更多个可填充冰的单个托杯。  Also provided for dispensing ice component, comprising one or more may be filled with a single ice hypanthium. 一个或更多个杯子中的每一个均具有预定大小，以保持预定量的冰并分送预定量的冰。 One or more cups each having a predetermined size, to maintain a predetermined amount of a predetermined amount of ice and dispensing the ice. 还提供一种用于混合饮料混合器，包括壳体。  further provided a mixer for mixing a beverage, comprising a housing. 混合器定位在壳体内。 Mixer positioned within the housing. 一个或更多个孔位于壳体内，以分送壳体内的流体，并冲洗和/或消毒壳体和/或混合器。 One or more holes located within the housing for dispensing fluid within the housing, and rinsing and / or disinfection of the housing and / or mixers. 优选地，分阶段或同时生产多种饮料。  Preferably, stages or simultaneously produce a variety of beverages. 当同时生产多种饮料时，多个搅拌器模块被同时操作。 When both more beverage production, the plurality of modules are simultaneously operated agitator. 当分阶段生产多种饮料时，包含冰和配料的饮料容器(a)被搅拌和/或混合或者(b)被清洁，同时，另外的饮料容器填充冰和/或配料。 When more beverage production stages, the beverage container (a) comprises ingredients are stirred and ice and / or mixing, or (b) to be cleaned, while further beverage container filling ice and / or ingredients. 当使用多个搅拌器模块时，还提供指示哪个搅拌器模块在使用的信号。 When a plurality of modules with a stirrer, a signal is also provided the use of a stirrer which indication module. 从下面的详细说明、附图以及所附的权利要求，本领域技术人员将理解本公开的上述和其它优点和特征。  From the following detailed description, the accompanying drawings and the appended claims, those skilled in the art will appreciate that the present disclosure of the above and other advantages and features. 图42a和42b是根据本公开的用于系统调整模式的控制器步骤和显示的列表。  FIGS. 42a and 42b according to the present disclosure is a listing of controller steps for the system and display the adjustment mode. 参见附图，特别是附图1-5,附图标记100总体上指示根据本公开的分送和混合饮料的组件（“组件”）的示例性实施例。  Referring to the drawings, in particular figures 1-5, reference numeral 100 indicates an exemplary embodiment of the present disclosure and mixed drinks dispensing assembly ( "assembly") on the whole. 组件100制冰、将调味剂/配料和冰分送到托杯内、然后搅拌或混合以形成饮料。 Ice making assembly 100, the flavor / ingredients and ice dispensed into the cup holder, and then stirring or mixing to form a beverage. 这种饮料之一例如为思慕雪，其优选地包括混合在一起的调味剂配料和冰。 One such beverage is a smoothie that preferably comprises ingredients such as flavoring agents and ice mixed together. 组件IOO具有机载冰制备、储存及定量控制模块300、调味剂/配料分送模块1100、 以及搅拌器模块303。 Assembly IOO onboard prepared having an ice storage and portion control module 300, flavor / ingredient dispensing module 1100, module 303, and a stirrer. 组件100示出冰制备、储存及定量控制模块300、调味剂/配料分送模块1100、以及搅拌器模块303作为一个整体组件。 100 shows assembly prepared ice storage and portion control module 300, flavor / ingredient dispensing module 1100, and a stirrer assembly module 303 as a whole. 本公开构想一个或多个冰制备、储存及定量控制模块300、调味剂/配料分送模块1100、以及搅拌器模块303可与组件100分离，但优选地，它们全都集成为单个组件100。 The present disclosure contemplates the preparation of one or more of ice storage and portion control module 300, flavor / ingredient dispensing module 1100, and blender module 303 may, but preferably, they are all integrated into a single component separation assembly 100 and 100. 即，与三个分离且单独的机器相比，冰制备、储存及定量控制模块300、调味剂/配料分送模块1100、以及搅拌器模块303的立式布置减小了组件100 的大小及其相关的占地面积。 Specifically, three separate and individually compared with the machine, preparation of ice storage and portion control module 300, flavor / ingredient dispensing module 1100, and a stand mixer module 303 reduces the size of the assembly 100 is arranged and related area. 组件100具有壳体，该壳体包括下壁6、上壁7、侧壁11和12、以及顶壁13。  assembly 100 having a housing comprising a lower wall 6, an upper wall 7, side walls 11 and 12, and a top wall 13. 下壁6具有容器保持部20。 Lower wall 6 has a container holder portion 20. 壳体连接将杯架14固定到组件100上的杯支承部4和5。 The housing is connected to the cup holder 14 is fixed on the cup support part 4 and 5 assembly 100. 杯架14将杯子15可移除地保持其中。 The cup holder 14 removably hold cups 15 therein. 杯子15可以是一次性或可再用的单个托杯。 Cup 15 may be disposable or reusable single cup holder. 如果杯子15是一次性的，例如纸杯或塑料杯，则可将分送到杯子15中并在杯子15内混合的饮料直接供给顾客，取消了将饮料倒入托杯中的步骤并省去了清洗额外的容器所需的劳动。 If cup 15 is disposable, such as paper or plastic cups, the cup 15 may be dispensed into and mixed within the beverage cup 15 is directly supplied to the customer, eliminating the step of the beverage is poured into the cup holder and eliminates cleaning required additional containers labor. 杯子15可以为任意大小，例如大约10盎司到大约32盎司。 The cup 15 can be of any size, for example, from about 10 ounces to about 32 ounces. 图6和图7提供了根据本公开的集成组件100的总体视图，其中组件100包括:调味剂/配料分送模块301，冰制备、储存及定量控制模块300,以及布置在分送喷嘴304的相对侧的一对搅拌器模块303。  Figures 6 and 7 provides a view of the overall integrated assembly 100 of the present disclosure, wherein assembly 100 comprises: flavor / ingredient dispensing module 301, prepared ice storage and portion control module 300, and disposed in the dispensing opposite side of the nozzle 304 of the one pair of stirrers module 303. 冰制备、储存及定量控制模块300包括制冰器305。 Preparation of ice storage and portion control module 300 includes an ice maker 305. 制冰器305可为任意制冰器，并且优选为形成薄片冰的制冰器。 The ice maker 305 may be any ice maker, and is preferably a sheet of ice to form ice maker. 例如，制冰器305可包括:呈圆柱形构造的制冰头，在制冰头中，填充来自水源的水的水容器具有至少一个制冷壁，该制冷壁形成由制冷气流冷却的冷冻室；以及电机驱动刮机，其连续地将形成在制冷表面上的冰破碎成薄片冰。 For example, ice maker 305 may include: the form of an ice making head of cylindrical configuration, in the ice making head, a container filled with water from the water source has at least one cooling wall, the wall forming the refrigerant cooled by the freezing compartment cooling air flow; ice scraper and a motor drive unit, which is continuously formed on the cooling surface of the ice sheet is broken into. 制冷气体可以通过制冷循环冷却，该制冷循环例如为包括压缩机、冷凝器、膨胀阀和蒸发器的蒸汽压缩循环。 Refrigerant gas may be cooled by the refrigeration cycle, the refrigeration cycle, for example, steam compression cycle comprising a compressor, a condenser, an expansion valve and an evaporator. 压缩机、冷凝器、膨胀阀和蒸发器中的一个或多个可与组件100集成，或者远离组件100的其余部分。 The compressor, condenser, expansion valve and evaporator integrated with one or more components 100, 100 or remote from the rest of the assembly. 例如，压缩机可能产生不期望的噪音并且可远离组件100的其余部分定位。 For example, the compressor may produce undesirable noise and may be positioned away from the rest of the assembly 100. 制冰器305可包括轴向延伸的螺旋推进器或螺旋推进器组件，螺旋推进器或螺旋推进器组件可旋转地布置在冷冻室内，并且通常包括中心体部，在中心体部上布置有位于中心体部与冷冻壁之间的空间内的一个或多个大致螺旋延伸的刮板部，以便从圆柱形冷冻室上可旋转地刮擦冰粒。 The ice maker 305 may include an auger or auger assembly axially extending auger or auger assembly is rotatably disposed in the freezing chamber and generally includes a central body portion, is disposed on the central body portion is located one or more substantially helical blade portions extending in the space between the central body portion of the wall of the freezing, to rotatably scrape ice particles from the cylindrical freezing chamber. 驱动装置组件可旋转地驱动螺旋推进器，使得当补给水通过适当的入水口引入冷冻室内并在其中冷冻时，旋转的螺旋推进器强制地推动大量冰粒通过冷冻室并经由冰出口端排出。 Drive means assembly rotatably drives the auger such that when make-up water introduced into the freezing chamber through a suitable water inlet and frozen therein at the time, the rotating auger forcibly pushed by a large number of ice freezing chamber and ice is discharged through the outlet end. 可通过使薄片冰通过形成溶核形状的挤出头，由薄片制成颗粒冰。  can be obtained by forming the sheet of ice nuggets shape by the extrusion head, from a sheet made of ice particles. 颗粒冰与块式冰的不同之处在于颗粒冰不是均质的，而是压缩成溶核的很多薄片冰。 Ice particles and the ice block differs from the formula in that ice particles are not homogeneous, but a lot of thin ice bath compressed into cores. 颗粒冰是较软的冰(更容易咀嚼），需要更小的力将其混合到饮料中。 Ice particles is softer ice (easier to chew), it requires less force to mix it into the beverage. 冰制备、储存及定量控制模块300示出为作为组件100的组成部分安装，但也可定位在远处并将冰机械地输送到组件100。 Preparation of ice storage and portion control module 300 is shown as an integral portion of the mounting assembly 100, but may also be located remotely and ice mechanically transported to assembly 100. 推动颗粒冰通过挤出头，该力可用于将冰输送到组件100,这使得可以更大量地输出冰。 Push ice particles through the extrusion head, the force may be used to transport the ice to assembly 100, which makes it possible to output a greater amount of ice. 制冰器305降低了总体噪声等级，并使得能够在前台或免停窗口附近运行而不影响交流。 Ice 305 reduces the overall noise level, and makes it possible to run without affecting the exchange in the vicinity of the front desk or window-free stop. 由于搅拌冰块的压力减小，所以颗粒冰的使用还使得操作者利用单个托杯进行分送、搅拌并供给消费者。 The stirring reduced pressure ice, ice particles are used so that an operator with a single further hypanthium for dispensing, stirring and supply of consumers. 参见图8-17,示出调味剂/配料分送模块1100。  Referring to FIGS. 8-17, shows the flavor / ingredient dispensing module 1100. 参见图12,调味剂/配料分送模块1100具有制冷壳体1110。 Referring to Figure 12, flavor / ingredient dispensing module 1100 has a housing 1110 refrigerant. 制冷壳体1110包括制冷循环，比如包括压缩机、冷凝器、膨胀阀和蒸发器的蒸汽压缩循环。 Cooling housing 1110 includes a refrigeration cycle, comprising such a steam compressor, a condenser, an expansion valve and an evaporator compression cycle. 压缩机、冷凝器、膨胀阀和蒸发器中的一个或多个可与调味剂/配料分送模块1100集成，或者远离调味剂/配料分送模块1100的其余部分。 A compressor, a condenser, an expansion valve and an evaporator or a plurality / ingredient dispensing module 1100 integrated with the flavoring agent, or away from the flavor / ingredient dispensing module 1100 the rest of. 例如，压缩机可能产生不期望的噪音并可远离组件100的其余部分定位。 For example, the compressor may produce undesirable noise and may be positioned away from the rest of the assembly 100. 制冷壳体111 0冷却一个或多个保持器或盒体1115。  Cooling of the housing 1110 or a plurality of cooling a cartridge holder or 1115. 保持器1115分别通过悬杆1117 (见图17)保持柔性容器，该柔性容器例如为包含用于饮料的配料的袋。 Each holder 1115 holding a flexible container 1117 by the boom (see FIG. 17), for example, the flexible container for containing a beverage ingredient bags. 袋可以是2.5加仑的袋。 Bags can be 2.5 gallons of bags. 配料可以是调味剂流体或混合物。 Flavoring ingredients may be a fluid or a mixture thereof. 配料在储存在保持器1115中的同时被具有门1111和轮1113的制冷壳体1110冷却。 Ingredients having a door 1111 and 1110 are cooling refrigerant wheel housing in the reservoir 1113 while holder 1115. 每个保持器具有带孔隙1118 (见图13a)的连接孔1117，用于使得布置在容器1115内的几乎所有调味剂/配料均排出，无须考虑袋的破裂(未示出）。 Each holder has a hole with a connection aperture 1118 (see FIG. 13a), 1117, disposed within the container such that for almost all 1115 flavor / ingredient are discharged, regardless of rupture (not shown) of the bag. 每个保持器1115的连接孔1117连接到穿过基座1120的导管1119上。 Each aperture 1115 is connected to the holder 1117 is connected to the catheter 1119 through the base 1120. 如图13所示，导管1119可连接到栗架1123上。 13, conduit 1119 may be coupled to the frame 1123 Li. 栗架1123具有一个或多个栗1125,栗1125选择性地将一部分配料从保持器1115内的袋/容器通过连接孔1117移动到导管1119、线导管1130、并到达分送喷嘴304,以将配料从组件100分送出去，例如分送到杯子15。 Li carrier 1123 having one or more Li 1125, Li 1125 selectively moves a portion of the ingredients from the bag / container holder 1115 through a connection hole 1117 to conduit 1119, conduit 1130 lines, and to the dispensing nozzle 304, to ingredient dispensing out of the assembly 100, for example, points to the cup 15. 冰和配料分送到杯子15中，但在分送到杯子15中之前是彼此分离的，以防止污染。 Ingredients in ice and dispensed into the cup 15, but before dispensed into the cup 15 are separated from each other to prevent contamination. 每个保持器1115中具有用于每种配料的配料分送管， 喷嘴304中具有一个冰喷嘴。 Each holder 1115 having ingredients for each ingredient dispensing tube, the nozzle 304 has a nozzle ice. 参见示出喷嘴304的图15和16，喷嘴304由注射模制塑料材料形成，以提供布置在喷嘴304中心的冰滑槽导管1126以及多个调味剂/配料分送装置1127。 Referring to nozzle 304 shown in FIG. 15 and 16, the nozzle 304 is formed from an injection molded plastic material, arranged to provide an ice chute in the center of the nozzle conduit 304 to 1126 and a plurality of flavor / ingredient dispensing device 1127. 如图14所示，导管1119可连接到栗1125上。  14, the conduit 1119 may be coupled 1125 to Li. 栗1125选择性地将一部分配料从保持器1115内的容器中通过连接孔1117移动到导管1119、线管道1130、并到达分送喷嘴304,以将配料从组件100分送出去，例如分送到杯子15。 Li 1125 selectively moves a portion of the ingredient from the container holder 1115 through the hole 1117 is connected to conduit 1119, conduit 1130 lines, and to the dispenser nozzle 304 to dispense the ingredient out of assembly 100 from, for example, points to the 15 cups. 栗1125可为包括隔膜的气压栗。 Li Li 1125 may include a pneumatic membrane. 配料，例如水果底料的定量可通过时间控制。  Ingredients such as fruit quantitative primer can be controlled by time. 栗初始校验其栗送的配料。 Li Li sent the initial check of its ingredients. 这容许产品粘度改变。 This allows the product viscosity change. 通过结合流体和/或制冷的基座温度提高分送精度，基座温度将用于提供校验的温度补偿。 By combining fluid and / or cooling the dispensing accuracy improved susceptor temperature, the temperature of the susceptor for providing temperature compensation for verification. 控制器测量分送的产品的量并从袋的总量中减去它。 Measuring the amount of product dispensed controller and subtract it from the total amount of the bag. 这提供了袋中剩余产品的测量和指示。 This provides a measure of the surplus product bag and instructions. 如图18-22所示，冰制备、储存及定量控制模块300具有可填充冰的一个或多个定量杯302。  As shown, the preparation of ice storage and portion control module 30018-22 having one or more measuring cup 302 may be filled with ice. 定量杯302由贯穿顶板312的孔310形成。 Dosing cup 302,310 is formed by the through holes 312 of the top plate. 板312可呈圆形形状。 Plate 312 may be in a circular shape. 每个孔310具有从顶板312延伸的侧壁。 Each hole 310 has a sidewall 312 extending from the top plate. 顶板312定位在底板313上，使得每个孔310的侧壁抵接底板313,形成用于每个定量杯302的内部容积。 Top plate 312 is positioned on the base plate 313, such that the sidewall of each aperture 310 abuts the bottom plate 313, form an internal volume of 302 for each of the dosing cup. 定量杯302具有预定大小以保持预定体积的冰。 Measuring cup 302 having a predetermined size to maintain a predetermined volume of ice. 定量杯302可以为任意大小，例如大约1盎司。 Measuring cup 302 may be of any size, such as about 1 ounce. 底板313具有与喷嘴304对齐的分送孔323。 Plate 313 having nozzles 304 aligned with the dispensing aperture 323. 如图7所示，分送喷嘴304延伸通过容器保持器部20的顶侧。 As shown in FIG 7, the dispensing nozzles 304 extending in the top-side holding portion 20 by the container. 顶板312由连接杆314连接到驱动组件301上以转动定量杯302。  top plate 312 by a connecting rod 314 is connected to the drive assembly 301 to rotate the dosing cup 302. 驱动组件301可为例如齿轮传动电机。 The drive assembly 301 may be, for example, geared motor. 充满冰的定量杯302随连接杆314在底板313上转动，而底板313保持静止。 Dosing cup full of ice with 302 of the connecting rod 314 is rotated on the base plate 313, while the bottom plate 313 remains stationary. 每个定量杯302在底板313上保持充满冰，直到定量杯经过底板313中的分送孔。 Each dosing cup 302 remains full of ice on the bottom plate 313, through the dosing cup until the bottom plate 313 of the dispensing orifice. 定量杯中的冰穿过底板313中的分送孔到达分送喷嘴304，分送喷嘴304将冰从组件100分送出去， 例如分送到杯子15中。 Quantitative cup through the ice dispensing aperture in the base plate 313 reaches the dispensing nozzle 304, the nozzle 304 to the dispensing of ice from dispensing out assembly 100, e.g. dispensed into the cup 15. 水经由设置在底板313中的漏孔321从杯302中排出。 Water is drained from the cup 302 via the drain hole 321 is provided in the bottom plate 313. 连接杆314通过传感器306连接到驱动组件上。  connecting rod 314 is connected to drive assembly 306 by the sensor. 连接杆314可包括装配在传感器306 内的凸轮或一个或多个凸起328,以形成凸轮随动件和微型开关，用于计数经由分送孔323 分送冰的定量杯302的数量。 Connecting rod 314 may include a sensor 306 mounted within the one or more projections or cam 328, to form a cam follower and a micro-switch, the number of dispensing ice through the dispensing aperture 323 the dosing cup 302 for counting. 连接杆314可连接到搅动杆320和322上。 314 may be connected to the connecting rod 320 and the stirring rod 322. 杆320和322是在图6所示的冰分送器305的储存料箱305a中的冰中进行转动的搅冰器。 Rods 320 and 322 are rotated to stir the ice in the ice dispenser shown in FIG. 6 of the storage tank 305a 305 in ice. 其目的在于保持颗粒冰不会聚结在一起，而聚结在一起会妨碍冰装入冰杯中。 Its object is to keep the particles of ice do not coalesce together, and coalesce hinder ice cup ice load. 来自冰分送器305的冰填充杯302。  ice-filled cup from the ice dispenser 305 302. 冰分送组件300通过控制经过分送喷嘴304的定量杯302的数量，控制从组件100分送出去的冰的量。 Ice dispensing assembly 300 by controlling the number of the measuring cup 302 through the nozzle 304 distribution, the control amount from the dispensing assembly 100 out of ice. 定量杯302例如呈圆形并保持预定量的冰。 Dosing cup holder 302, for example, a circular shape and a predetermined amount of ice. 经过分送喷嘴304的定量杯304的数量决定正在制备的饮品的份量。 After dosing cup dispenser nozzle 304 determines the number of servings of beverage being prepared 304. 定量杯302将预定量的冰保持在内部容积中，随着冰的体积大小的增大或减小，经过分送喷嘴304的定量杯302 的数量基于每种饮料所需的预定量的冰而增大或减小。 Measuring cup 302 holding a predetermined amount of ice in the interior volume, as volume increase or decrease the size of the ice through the dispensing nozzle 304 the number of dosing cup 302 based on a predetermined amount required for each beverage and ice increased or decreased. 凸轮随动件和微型开关用于计数经过分送喷嘴304的定量杯302的数量。 And a cam follower for counting the number of the micro switch through the dispensing nozzle 302 of the measuring cup 304. 计数经过分送喷嘴304的定量杯302的数量防止定量杯302中的一个部分地定位在分送喷嘴304上方。 After counting the number of dispensing nozzle 304 of the measuring cup 302 to prevent a measuring cup 302 is partially positioned over the dispensing nozzle 304. 冰分送器305的储存料箱305a中的冰的重量使得冰杯充满。 By weight of the ice dispenser ice storage bin 305a 305 such that the ice in the cup is full. 随着组件的转动，冰被楔形部303切平以提供准确的定量。 With the rotation of the assembly, the ice was cut flat wedge 303 to provide accurate quantitative. 当定量杯302在填充冰后向分送喷嘴304上方的分送滑槽移动经过定量控制楔形部303时，定量控制楔形部303封住定量杯302的顶部，从而确保在定量杯302将其容纳物释放到设置在喷嘴304内的分送滑槽1126之前，各定量杯302中存在一致量的冰。 When moving the dispensing chute 302 after filling the dosing cup to the ice dispenser 304 above the nozzle portion 303 through the wedge when quantitative control, quantitative control dosing cup seal 303 at the top portion 302 of the wedge, to ensure that the measuring cup 302 which is received prior to release into the dispensing chute 1126 is provided in the nozzle 304, the same amount of ice in the presence of 302 of each dosing cup. 楔形部303可为金属片楔形部，具有围绕顶板312和底板313的顶部316、侧部318和底部(未示出）。 The wedge portion 303 may be a wedge-shaped sheet metal portion, having a top plate 312 around the top 316 and bottom 313, sides 318 and a bottom portion (not shown). 图23-35描绘了组件100的搅拌器模块303。  FIG 23-35 illustrates the stirrer assembly 100 of the module 303. 构想组件100可包括例如从一个搅拌器模块到六个或更多个搅拌器模块。 Conception assembly 100 may include, for example, from one module to the agitator stirrer, six or more modules. 一个以上的搅拌器模块303能够在混合第一饮料的同时产生第二饮料，有助于组件100的更高的饮料产出。 One or more agitator module 303 can generate a second beverage while mixing a first beverage, contributes to higher beverage output assembly 100. 如图27所示，搅拌器模块303具有混合器壳体205。 As shown in  27, an agitator 303 having a mixer housing module 205. 混合器壳体205具有形成第一侧壁210、第二侧壁215、后壁217、顶壁220以及底壁225,形成内部容积230。 The mixer housing 205 is formed with a first sidewall 210, second sidewall 215, a rear wall 217, a top wall 220 and a bottom wall 225, interior volume 230 is formed. 内部容积230可由门235封闭，当处于搅拌、混合或清洁模式时，门235移动到关闭位置，如图7和28所示；当混合器模块303处于装载或卸载模式时，门235移动到打开位置，露出内部容积230。 230 235 interior volume closed by a door, when in the stirring, mixing or cleaning mode, the door 235 to the closed position, as shown in Figures 7 and 28; when the mixer module 303 is loaded or unloaded mode, the gate 235 moves to the open position, exposing the interior volume 230. 可选择地， 门235可为透明或半透明材料，使得当门235处于关闭位置时看的到内部容积230。 Alternatively, the door 235 may be transparent or translucent material, so that when the door 235 is looking into the interior volume 230 in the closed position. 如图29所示，门235可拆卸用于维修。 As shown in FIG. 29, for maintenance door 235 detachably. 底壁225可具有排出孔227。 A bottom wall 225 may have a discharge hole 227. 排出孔227可由过滤器盖229覆盖。 The discharge hole 227 covered by a filter cover 229. 混合器壳体205可选择地支承在支承结构237上。  Alternatively, the mixer housing 205 is supported on a support structure 237. 支承结构237具有从其延伸的电机支座239。 Support structure 237 has a motor support 239 extending therefrom. 电机支座239连接到电机240上。 Motor support 239 is connected to the motor 240. 电机240可为具有线性滑块241的步进电机241a，线性滑块241连接到电机支座239上。 Motor 240 may 241a, the slider 241 is connected to the linear motor 239 is a linear slide bearing 241 is a stepping motor. 电机240连接到混合器245上。 Motor 240 is connected to the mixer 245. 电机240可通过由电机240运动的托架247连接到混合器245上。 Motor 240 through the carriage motor 240 is connected by a motion 247 to the mixer 245. 电机240使混合器245的主轴260以往复竖直运动的方式运动，通过顶壁220进入或退出内部容积230。 245 spindle motor 240 so that the mixer 260 in a reciprocating motion in a manner vertically movable, through the top wall 220 to enter or exit the interior volume 230. 混合器245可连接到盖组件250上，如图34所示。  Mixer 245 may be connected to the cover assembly 250, shown in Figure 34. 盖组件250具有盖252和多个对齐杆254。 The cap assembly 250 having a cover 252 and a plurality of alignment rods 254. 盖252的形状与容器互补，该容器例如为设置在内部容积230内的其中具有流体的杯子15。 Cover 252 shaped complementary to the container, wherein the container is provided for example within the interior volume 230 of fluid 15 having a cup. 盖组件250可随混合器245运动到内部容积230中，接触杯子15。 The cap assembly 250 may be moved to the mixer 245 with the interior volume 230, the contact cup 15. 当混合器245可沿连接杆254的长度进一步向内部容积230内运动时，一旦盖组件250接触杯子15，盖组件250保持与杯子15接触。 When the mixer 245 may further motion to the interior volume 230 along a length of the connecting rods 254, 250 in contact with the cup 15 upon assembly, the cap assembly cover 250 remains in contact with the cup 15. 直到盖组件250与杯子15接触时，主轴才接合或旋转，以防止喷撒或飞溅。 Until the cap assembly 250 in contact with the cup 15, the spindle was rotating or engaged, in order to prevent splashing or spraying. 当混合器245朝顶壁220缩回时，混合器245沿对齐杆254的长度运动，直到到达对齐杆254的端部，然后盖组件250与混合器254—起运动。 When the mixer 245 is retracted toward top wall 220, a mixer 245 aligned along the length of the movement of the rod 254, until the end portion 254 of the alignment rod, and the cap assembly 250 from the mixer 254- movement. 混合器245具有转轴组件242,转轴组件242具有比转轴260宽的搅拌器叶片255。  245 mixer assembly 242 having a rotating shaft, the rotating shaft assembly 242 having a shaft 260 is wider than the agitator blade 255. 搅拌器叶片255具有便于在杯子15内混合流体的凸起。 Agitator blade has a projection 255 to facilitate mixing of the fluids within the cup 15. 转轴260连接到旋转搅拌器叶片255和转轴260的搅拌器电机265上。 The rotating shaft 260 is connected to the agitator blades on the agitator motor 260 and the rotating shaft of 265,255. 混合器245可附装到线性滑块241上，使得线性滑块241竖直地运动混合器245。  Mixer 245 may be attached to the linear slider 241, the slider 241 such that the linear mixer 245 is moved vertically. 控制器提供确保饮料恰当混合的混合形式。 The controller provided to ensure proper mixing drinks mixed forms. 线性滑块241由步进电机241a驱动，步进电机241a 提供对线性滑块241的运动的精确控制。 Linear slide 241 provides precise control of movement of linear slide 241 by driving the stepping motor 241a, the stepping motor 241a. 在为混合器245供能以旋转搅拌器叶片255之前，控制器可使搅拌器叶片255运动到杯子15内的流体的大约25%处。 At the mixer 245 is energized prior to rotating the stirrer blade 255, the controller 255 allows the stirrer blades the motive fluid into the cup 15 is about 25%. 通过在为混合器245供能以旋转搅拌器叶片255之前使搅拌器叶片255运动到杯子15内的流体的大约25%处，减小和/ 或消除混合器245在进入饮料之前供能引起的飞溅。 At the mixer 245 is by energizing the agitator blades prior to rotating the stirrer blade 255 is moved to the fluid 255 within the cup 15 is about 25%, reduction and / or elimination of a mixer 245 can cause supply before entering the beverage splash. 当为搅拌器叶片255供能之后，可定制程序使搅拌器叶片255转位以下放到杯子15中。 When the agitator blade 255 is energized a customizable program causes the agitator blade 255 indexing into the cup 15. 可通过可定制程序为搅拌器叶片255供能， 该可定制程序使搅拌器叶片255转位下放到杯子15中，以确保颗粒冰的颗粒大小减小到由用户限定的饮料规格。 255 may be energized, so that the program can be customized to the stirrer blade may be custom program into the cup through the lower blades 255 transposition mixer 15 to ensure that the particles of ice particle size is reduced to beverage specifications defined by the user. 搅拌器叶片255在杯子底部215停留预定量的时间。 Stirrer blades 255 a predetermined amount of time to stay bottom of the cup 215. 搅拌器叶片255被升起和下放预定的时间长度，以提供饮料成分的完全搅拌。 Stirrer blades 255 is raised and decentralized predetermined length of time, to provide a complete stirring beverage ingredient. 当完成混合后，转轴组件242返回初始位置，如图7和28所示。 After mixing is complete spindle assembly 242 returns to the initial position, shown in Figures 7 and 28. 步进电机240a和线性滑块240可具有计数电机行进步进数的控制器，使得搅拌器叶片255精确定位，并在每次从组件100分送和混合饮料时产生均匀的饮料。 Stepper motor 240a and linear slide 240 may have a controller counts the number of stepper motor travel, so that precise positioning of the stirrer blade 255, and produces a uniform beverage each time a beverage mixing and dispensing assembly 100 from. 优选地，搅拌器叶片255是如图33所示的乳化叶片。 Preferably, the emulsification blade stirrer blade 255 is shown in FIG. 33. 门235可具有安全开关236。  Door 235 may have a safety switch 236. 微型开关定位在混合器壳体205上。 Micro switch 205 positioned on the mixer housing. 当门235升起时，如图27所示，微型开关211切换，并且搅拌器叶片255与杯子15分离，缩回其不工作位置。 When the door 235 is raised, as shown in Figure 27, the micro switch 211 is switched, and the agitator blades 255 separated from the cup 15, which is retracted inoperative position. 另外， 具有突片267，如图32所示，突片267是搅拌器245上的门互锁装置，防止在搅拌器叶片255下放时门235被打开。 Further, having a tab 267, as shown, the tabs 267 on the door interlock agitator 24 532, to prevent the agitator blades decentralized door is opened 255,235. 参见图32,后壁217可具有连接其上的容器或杯子保持器或引导部270。  Referring to Figure 32, the rear wall 217 may have attached thereto a container or cup holder or guide portion 270. 在由混合器245的混合过程中，保持器270可将杯子15保持就位。 In the mixing process of the mixer 245, the holder 270 may be held in place the cup 15. 保持器270的形状可做成与杯子15的形状互补，例如U形。 The shape of the holder 270 can be made complementary to the shape of the cup 15, for example a U-shape. 保持器270还可通过管系275连接到流体源(未示出）上。  holder 270 may also be connected to a fluid source (not shown) through tubing 275. 管系275可通过电磁阀280 连接到流体源。 Tubing 275 may be connected to a fluid source 280 through a solenoid valve. 流体通过保持器270中的一个或更多个孔272 (见图27)分送到内部容积230 内。 Fluid distribution within the interior volume 230 to the holder 270 by one or more holes 272 (see FIG. 27). 流体可以是水和/或消毒剂。 The fluid may be water and / or disinfectant. 水和/或消毒剂通过排出孔227排出。 Water and / or disinfectant is discharged through the discharge hole 227. 图30描绘了经由管或导管283连接到管275的一对消毒剂供给容器281。 Figure 30 depicts a pair of sanitizer supply vessels 281 or 275 via a conduit 283 connected to the tube. 优选地，如图31和图35所示，冲洗或清洁通气管286与保持器270流体连通，使得清洁流体基本上分送到混合器壳体205的内部容积230的顶部附近。 Preferably, as shown in FIG. 31 and FIG. 35, the cleaning or rinsing fluid through the tube 270 in communication with the holder 286, so that the cleaning fluid substantially into the interior of the mixer housing sub 205 near the top 230 of the volume. 当从内部容积230中移走杯子15之后，可将门235运动到关闭位置，以便可以冲洗/ 清洁和/或消毒内部容积230和/或混合器245。  When the internal volume 230 removed from the cup 15, the door 235 may be moved to the closed position, so as to be rinsed / cleaned and / or sterilized interior volume 230 and / or mixer 245. 为水电磁阀280和空气电磁阀220a (图24)供能。 Water solenoid valve 280 and air solenoid 220a (FIG. 24) energized. 为混合器245供能以旋转搅拌器叶片255,并且通过步进电机241a和线性滑块241将搅拌器叶片255下放到内部容积230中。 Mixer 245 is energized to rotate the stirrer blade 255, and by the stepping motor 241a and linear slide 241 into the interior volume 230 of the stirrer blade 255. 搅拌器叶片255被上下转位，使得冲洗液体喷洗整个内部容积230或混合隔室。 Stirrer blade 255 is indexed up and down, so that the flushing liquid is sprayed to wash the entire interior volume 230 or mix compartment. 为混合器245去能以使搅拌器叶片255停止旋转并返回初始位置。 Mixer 245 is de-energized to stop rotation of the agitator blade 255 and returns to the initial position. 空气继续供给并用于帮助清除水残留。 Continuing supply of air and water to help remove the residue. 可由混合器245混合其中具有另一种饮料的另一只杯子。 Other mixing cup having another beverage mixer 245 may be. 可在混合每种饮料之后仅用水冲洗混合器245和内部容积230，可在混合每种饮料之后用水冲洗和/或用消毒液，比如肥皂或洗涤剂，消毒混合器245和内部容积230,或者可在混合每种饮料之后仅用水冲洗混合器245和内部容积230、并且定期消毒混合器245和内部容积230。  Mixer 245 may be rinsed with water only and interior volume 230 may be rinsed with water and / or mixed with a disinfectant after each beverage after mixing each beverage, such as soap or detergent, disinfecting mixer 245 and interior volume 230, or may be rinsed with water only mixer 245 and interior volume 230 after mixing each beverage and periodically disinfected mixer 245 and interior volume 230. 可将Ύ'形接头284 (见图30)设置在电磁阀280上游的水管路275内，以连接消毒液源281。 May Ύ 'shaped joint 284 (see FIG. 30) disposed within the water conduit 280 upstream of the solenoid valves 275, 281 to connect the source of disinfectant. 可将消毒液配量到水中以消毒混合器245和内部容积230。 Dosing the disinfectant can disinfect the water to the mixer 245 and interior volume 230. 消毒液的量可由限流器(未示出）控制，限流器位于连接到“Y”形接头284的消毒液源281的管系283内。 May be the amount of disinfectant flow restrictor (not shown) controls the flow restrictor positioned within the tubing 283 is connected to the "Y" -shaped connector 284 disinfectant source 281. 电磁阀可连接到消毒液源281的管系283上，消毒液源281连接到Ύ'形接头284上。 The solenoid valve can be connected to a source 281 of disinfectant tubing 283, disinfectant source 281 is connected to the Ύ 'shaped connector 284. 可控制电磁阀，以便在混合每种饮料后仅提供水以冲洗混合器245和内部容积230，并定期(例如每天）向水中添加消毒液以消毒冲洗混合器245和内部容积230。 The solenoid valve can be controlled so as to provide water only after mixing each beverage to flush the mixer 245 and interior volume 230, and periodically (e.g. daily) was added to the disinfectant to sterilize water rinse mixer 245 and interior volume 230. 每次使用后如在此所述被冲洗和/或消毒的内部容积230和/或混合器245防止调味剂转移、杀灭细菌并消除对手工清洗的需要。 As is washed and / or disinfected after each use herein interior volume 230 and / or mixer 245 prevents flavor transfer, eliminates the need to kill the bacteria and manual cleaning. 参照图23、24和27，例如为印刷电路板的控制器206控制混合器模块303。  Referring to FIGS. 23, 24 and 27, for example, a printed circuit board of the controller 206 controls the mixer module 303. 当饮料被分送到杯子内并放置在混合壳体205中时，门235中的比如微型开关211的微型开关切换显示杯子的存在。 When the beverage is being dispensed into the mixing cup and placed in a housing 205, a door 235, such as a micro switch the micro switch 211 shows the presence of the cup. 控制板为线性滑块241或线性致动器上的步进电机241a供能，混合器245下放到杯子内的预定水平(通过计算操作步进电机240的步进次数）。 Dashboard linear slide 241 or linear actuator stepper motor 241a on the actuator energizing, into a predetermined level in the cup (stepping operation by calculating the number of the stepping motor 240) of the mixer 245. 当混合器叶片255达到预定水平时，控制器为混合器叶片255供能，以转动混合器叶片255。 When the mixer blade 255 reaches a predetermined level, the controller 255 is energized blade mixer, blender blade 255 to rotate. 混合器叶片255暂时停留在预定水平，然后为线性滑块供能并且进一步下放到饮料中，以确保饮料的适当搅拌。 Blender blade 255 is temporarily stays at a predetermined level, for linear slide can then be lowered into the beverage, and further, to ensure proper stirring the beverage. 混合搅拌器叶片255以由终端用户限定的顺序升起和下放。 Mixing agitator blades 255 defined by the end user in order to raise and lower levels. 在完成混合处理时，控制器分离步进电机24 Ia并为线性滑块241供能以从饮料移走搅拌器叶片255。 Upon completion of the mixing process, separation of the stepping motor controller 24 Ia and linear slide 241 is energized to remove the agitator blade 255 from the beverage. 饮料被从混合室或内部容积230移走并断开门微型开关。 Beverage is removed from the volume 230 inside the mixing chamber or micro-switch and the deactivation. 基于门微型开关的切换，控制器开始冲洗处理。 Based on the micro switch door switch, the controller starts the rinsing process. 图37示出控制板的结构，其示出它们是独立但互连的。  FIG. 37 shows the structure of the control panel, which shows that they are separate but interconnected. 这在设计方面提供了灵活性，容许增加另外的板，而不必重新设计整个控制器。 This provides flexibility in terms of design, permitting an increase in the other plate, without having to redesign the entire controller. 图37示出用户界面控制器401，其采用比如在图36中示出的控制面板500的按扭面板，操作者利用用户界面控制器401选择饮品以及与其它控制板互连的计算机。 FIG 37 illustrates a user interface controller 401 which employs the control panel such as shown in FIG. 36 button panel 500, an operator using a user interface controller 401 and a computer selection drinks interconnected with other control board. 通信板控制板402提供用于以各种方法通信的网关（网络、 调制解调器、USB以及类似设备）。 A communication board for the control board 402 provides the gateway (network, modem, USB, and the like) of various methods of communication. 混合器板403和404是混合器控制板，混合器控制板包含用于操作混合器搅拌器叶片255和线性滑块240的逻辑控制器。 Mixer is a mixer plate 403 and panel 404, the mixer comprising an operation panel 255 and a mixer stirrer blades logic controller 240 of the linear slide. 智能继电器板405是控制板，控制板容纳用于冰制备、储存及定量控制模块300,调味剂/配料分送模块1100,混合器转轴电机240,线性滑块241、水电磁阀280以及空气电磁阀220a的切换继电器。 Smart relay board 405 is a control panel, the control panel accommodated for preparing ice storage and portion control module 300, flavor / ingredient dispensing module 1100, 240, linear slide 241, electromagnetic valve 280 and air solenoid mixer spindle motor switch 220a of the relay valve. C-总线406是通信互连。 C- bus 406 is a communication interconnect. P-总线407是板之间的有线互连。 P- bus 407 is a wired interconnection between the plates. 图38是示出组件100的输入和输出的框图。  FIG. 38 is a block diagram of the components of the 100 input and output. 网关C modbus通信模块容许经由调制解调器、互联网及类似设备通信。 C modbus Communication gateways allow modules via modem, Internet communications, and the like. 前面板CCA用户界面包括单色LCD、薄膜KB和USD i/o。 CCA front panel user interface includes a monochrome LCD, a thin film and KB USD i / o. 搅拌器控制器从搅拌器模块303接收传感器输入，该传感器输入确定杯子15的存在、转轴的初始位置，并且包含用于启动混合器电机和线性驱动电机的控制逻辑、以及水和空气电磁阀信号。 Blender controller receives sensor input from the mixer module 303, the input sensor 15 determines the presence of the cup, the initial position of the shaft, and a mixer comprising a linear drive motor and a motor control logic, and water and air solenoid valve signal for activating . 搅拌器控制器具有用于处理控制冷藏系统的控制器，冷藏系统包括糖浆电磁阀驱动器、 水电磁阀驱动器、糖浆袋存在检测以及糖浆温度。 Blender controller has a controller for controlling the processing of the refrigeration system, the refrigeration system comprising a syrup solenoid valve actuators, electromagnetic valve actuator, temperature of the syrup presence detector and the syrup bag. 搅拌器控制器具有另外的能力，监控冰的温度、料箱中冰的水平、低温警报以及分送器位置。 The controller further having a stirrer ability to monitor the temperature of the ice, the ice bin level, and a temperature alarm dispensing position. 参见图7,在使用中，杯子15放置在组件100的容器保持部20上。  Referring to Figure 7, in use, the cup 15 is placed on container holder portion 20 of the assembly 100. 冰制备、储存及定量控制模块300通过喷嘴304将冰分送到杯子15内，配料分送器组件1100通过喷嘴304将诸如水果底料的配料分送到杯子15内。 Preparation of ice storage and portion control module 300 through the nozzle 304 within the ice dispensed into the cup 15, 1100 by ingredient dispensing nozzle assembly 304, such as the ingredients of the fruit is distributed to the primer 15 within the cup. 然后将杯子15转送到搅拌器模块303的内部容积230 中。 The cup 15 is then transferred to the internal volume of the stirrer was 303 230 module. 将门235运到关闭位置，并且混合器245混合冰和水果底料。 235 transported to the door closed position, the mixer 245 and mixing ice and fruit base material. 在完全混合后，将门235运到打开位置并取出杯子15交给顾客。 After complete mixing, the door 235 to an open position and remove the transport cups 15 to the customer. 然后关闭门235,并冲洗和/或消毒内部容积230。 Then closes the door 235, and rinsing and / or disinfection of the interior volume 230. 每个饮料可在直接提供给顾客的单个托杯15中混合，允许将所有饮料交给顾客， 提高了产品收益率并减少了饮料浪费，例如当在搅拌罐中搅拌饮料时。  Each beverage may be mixed in a single holder cup 15 directly to the customer, it allows all the beverage to the customer, improves the product yield and reducing wasted beverage, e.g., when the beverage is stirred in a stirred tank. 使每个饮料在其自身的杯子中搅拌改善了调味剂控制并减少了通过交叉污染引起的过敏问题。 Each beverage in its own cup improves flavor control stirred and reduces allergy issues caused through cross-contamination. 通过本公开已发现，组件100允许操作者在40秒内不间断地生产和分送制备好的思慕雪饮料。  It has been found by the present disclosure, assembly 100 allows the operator to continuously produce and dispense prepared smoothie drinks in 40 seconds. 有利地，组件100通过完全集成的机载制冰系统，冰制备、储存及定量控制模块300产生冰。 Advantageously, a fully integrated assembly 100 by airborne ice-making system, prepared ice storage and portion control module 300 generates ice. 冰制备、存储及定量控制模块300,比如可具有20镑的冰储存系统，冰储存系统具有每小时制造另外10镑冰的能力，每天最高总计270镑。 Preparation of ice storage and portion control module 300, such as 20 pounds may have ice storage system, ice storage systems have the capability for producing an additional 10 pounds of ice per hour, up to a total of 270 pounds per day. 机载产生的冰消除了通过滑落和下落带来损伤的危险，并减少通过误操作引起的细菌污染的机会。 Airborne produced by deglaciation in addition to the risk of slipping and falling caused damage, and reduce the chance of malfunction caused by bacterial contamination. 另外，用于该机器的冰是颗粒型冰，颗粒型式冰容易破碎并一致地混合到思慕雪中。 Further, the ice machine is used for this type of ice particles, ice particles are easily broken pattern and consistently mixed to a smoothie snow. 所有这些提供完美混和的饮料， 比如在正常QSR交货时间内配制的思慕雪。 All of these provide the perfect mix of beverages, such as formulated within the normal delivery time QSR smoothies. 每种饮料，比如思慕雪，在其自身的杯子内混和，允许将全部饮料或饮品交付给顾客，反过来提高产品产量。  Each beverages, such as smoothies, mixing in their own cup, drink or allow all drinks delivered to the customer, in turn, increase product yield. 将每种饮品混和在其自身的杯子内改善了调味剂控制并减少了通过交叉污染引起的过敏问题。 Each mixed drinks in its own cup improves flavor control and reduces allergy issues caused through cross-contamination. 比如，组件可不间断地每小时供应二十个16盎司的饮品，最高能力为高峰一小时时间内四十五个16盎司的饮品。 For example, components can be continuously supplied per hour twenty 16-ounce drink, the highest peak capacity within one hour forty-five 16-ounce drinks. 还通过消除已往由餐厅所有者购买并储存的小商品或搅拌器罐来节省成本。 Also to save costs by eliminating the past purchased by the restaurant owner and storage of commodities or blender jar. 有利地，转轴组件242在每次使用之后经历冲洗和卫生过程，以防止调味剂转移并消除对人工清洗的需要。  Advantageously, spindle assembly 242 experiences during rinsing and hygiene after each use to prevent flavor transfer and eliminate the need for manual cleaning. 另外，比如，包括在组件100中的两个混合模块允许在混合第一饮品的同时产生第二饮品，有助于更高的饮品产出，并因此有助于运转的最终效益。 Further, for example, including the components 100 allowing two hybrid module generates a second beverage while mixing a first beverage, contributes to higher beverage output, and thus contributes to the final operation efficiency. 为了战胜这一挑战，颗粒式冰可用于组件100。 To meet this challenge, the ice particles can be used for assembly of Formula 100. 颗粒冰比更通用的已知方块冰软，颗粒冰形成在具有内部螺旋推运器的凝固套管内，内部螺旋推运器连续地刮擦凝固表面。 Ice particles more versatile than known soft ice cubes, the ice particles are formed in the inner sleeve has solidified auger internal auger continuously scraping solidified surface. 该薄片式冰由冰螺旋推运器运动至凝固套管的顶部，由此挤出为冰颗粒。 The sheet-type ice by the ice auger sleeve is moved to the top of the solidification, whereby an extrusion of the ice particles. 产生的较小冰大大地减少制造饮品所需的混合的量。 Resulting smaller ice greatly reduces the amount of mixing required for producing drinks. 另外，通过利用该较小的颗粒冰减少混合过程产生的噪音。 Further, reducing the noise generated by the mixing process by using the smaller ice particles. 当设备放置在前部柜台附近或靠近免下车窗口时，这变得特别重要。 When the device is placed close to the vicinity of the front counter or drive-through window, which becomes especially important. 当前思慕雪机构内的搅拌器罐设计成完全混合饮品并将冰研磨成满足顾客口味形式的粒度。  The current in the tank agitator mechanism is designed to smoothie drinks and ice was triturated thoroughly mixed so as to satisfy customers' preferences in the form of granularity. 当在杯子内混合时，没有辅助混合和研磨冰的几何结构。 When mixed in a glass, without the aid of mixing and grinding geometry ice. 为了获得适当的饮品一致性，线性滑块241在杯子15内上下运动搅拌器叶片255。 In order to obtain the proper drink consistency, linear slide 241 up and down movement of the cup 15 within the agitator blade 255. 该过程模拟如何利用手持棍混合器制成饮品。 The process simulation how to use hand-held stick blender made drinks. 搅拌器叶片255下放到饮品内（大约25%)，在该点处为搅拌器叶片255供能。 Into the drink (about 25%) of the stirrer blade 255, the blade of the stirrer 255 at this point energized. 一旦接合，转轴完全下放到杯子内并允许停留。 Once engaged, the spindle is fully lowered into the cup and allowed to stay. 该过程研磨大部分的冰，但在该点处，饮品没有完全地形成。 The polishing process is mostly ice, but at that point, is not completely formed beverage. 然后，考虑到流体的粘度、冰与流体的比率以及饮品杯子的大小，在产生用于特定饮品的形式之后，转轴被升起和下放。 Then, taking into account the viscosity of the fluid, and the ratio of the size of the fluid ice drink cup, after generating form for a particular drink, and lowering shaft is raised. 本发明人已发现，通过组件100的部件的结构可实现大小限制（占位面积）。  The present inventors have found, can be achieved size limit (footprints) through structural member assembly 100. 当传统机器在搅拌器罐中生产饮品以混合一种以上的调味剂时，组件100在托杯内分送并混合每一种饮品，并可具有双转轴以保持产量和交货时间。 When the beverage production machine in a conventional blender mixing tank to when one or more flavoring agents, and dispensing assembly 100 each mixed drink in the cup holder, and having a dual-shaft in order to maintain production and delivery time. 组件100可通过部件的垂直放置处理大小要求。 Assembly 100 may be placed perpendicular to the handle member by size requirements. 组件100可通过控制线性滑块241的步进驱动电机241a保持混合器245的准确度一一用于产生饮品一致性。  assembly 100 may be controlled by a stepper motor driven linear slide 241, 241a of the mixer 245 to maintain the accuracy of the eleven for producing beverages consistency. 步进电机241a提供生产用于各种类型的饮品（咖啡基、水果基、水果加酸奶饮品）的不同混和形式的能力。 A stepping motor 241a provided for the production of various types of drinks (coffee-based, fruit-based, fruit drinks sour) different forms of mixing ability. 计数步进电机241a行进的步进数，允许每次混和饮品时准确地定位搅拌器叶片255。 Counting the number of steps of the stepping motor 241a travels, allowing accurate positioning each agitator blade 255 mixed drinks. 冰制备、储存及定量控制模块300保持冰分送精度。  Preparation of the ice storage and portion control module 300 to maintain the ice dispensing accuracy. 冰分送随后被分到定量杯内。 Dispensing ice is then assigned to the dosing cup. 随着饮品大小的改变，将冰落入饮料内的单个分送杯的数量增加或减少以匹配。 With the change of the size of drink, the increased or decreased to match the number of individual ice falling into the dispensing cup of the beverage. 为了测量冰分送的数量，采用微型开关(定位在冰料箱外部）以计数杯子的数量。 In order to measure the amount of ice dispensed using a micro switch (located outside the ice bin) to count the number of cups. 该方法提供了一致性的冰分送，而与料箱内冰的水平无关。 The method provides for dispensing ice consistency, regardless of the level of ice in the bin. 当前使用的搅拌器罐由硬塑料制成，具有承受用于将冰破碎成用于思慕雪饮品的可接受一致性的能力。  a stirrer tank currently in use is made of a hard plastic, with the ability to withstand an acceptable consistency for a smoothie into crushed ice drinks. 最通常地在QSRs中发现，研磨立方体式冰将向机器的搅拌器和顾客的杯子上施加太大的压力。 The most commonly found in QSRs, applying too much pressure on the agitator and grinding customer formula ice cube machines will cup. 参照图36和37,组件100可以是“思慕雪制造系统”，由集成的配料分送单元、至多4 个混合单元(正常配置中从2个开始扩展）以及用于用户操作的控制面板组成。  Referring to FIGS. 36 and 37, assembly 100 may be a "smoothie manufacturing system", by an integrated ingredient dispensing unit, up to 4 mixing units (configured from two normally starts expansion) for controlling the operation of a user panels. 如图38中所述，利用智能继电器CCA、两个混合器CCA (常规配置）、用于外部通信的可选择通信板和用户界面控制器板设计该系统。  As shown in the 38, using a smart relay the CCA, the CCA two mixers (conventional configuration), and a user interface board select communications controller board designed for external communication system. 所有子系统板利用MODBUS协议和RS-485物理链路互相通信。 All subsystems plate using MODBUS protocol and RS-485 physical communications link with each other. 智能继电器CCA负责分送控制、监控系统制冰器和调味组件/子系统的安全。  Smart Relay CCA is responsible for the distribution control, security and surveillance systems ice maker and flavoring components / subsystems. 此外， 智能继电器CCA提供用于思慕雪系统控制电子设备的电力和Modbus集线器。 In addition, Smart Relay CCA provides for a smoothie system power and control electronics Modbus hub. 搅拌器控制器CCA负责系统搅拌器组件/子系统的位置、速度、清洁和安全控制，比如搅拌器模块303。  Controller CCA is responsible for position stirrer agitator assembly system / subsystem, speed, cleaning and safety control module 303 such as a stirrer. 控制搅拌器叶片、水和空气栗，并感测杯子存在和门开关。 Control blade stirrer, air and water chestnut, and sensing the presence of a cup and a door switch. 用户界面控制器板可由单色LCD显示器、用于控制和配置的薄膜键盘组成。  The user interface controller board may be monochrome LCD display, membrane keypad for control and configuration of the components. 比较常见的配置是带有触摸屏供能的彩色IXD显示器。 The more common configuration is IXD color display with touch screen for energy. 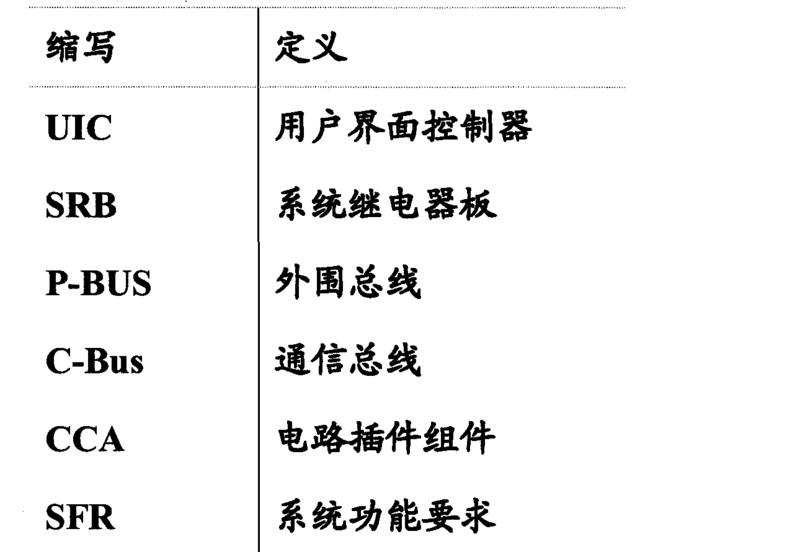 现在参考图36_42b，示出并说明本公开的示范实施例的功能要求。  Referring now to FIG. 36_42b, shown and described the functional requirements of an exemplary embodiment of the present disclosure. 系统可通过USB闪驱或经由允许用于其它媒介的通信端口进行更新。  The system may be a USB flash drive, or via a communications port to allow other media is updated. 用户界面应具有在安装模式中用于温度显示的度数F/C选择。  The user interface shall have a temperature display in the setup mode degrees F / C selection. [0M7] 每次供应的调味剂的最小数量应为1，除非仅分送冰。 [0M7] The minimum amount of each flavor to be supplied to 1, unless dispensing ice only. 应通过按压对应于所指调味剂的按钮切换调味剂选择状态或者通过使用取销按钮消除选择。  should be eliminated by using a selection cancellation button indicated by pressing a button corresponding to the flavor of the selected switching state or flavoring agents. 当达到每次供应的调味剂的最大数量时，系统将不允许选择任何另外的调味剂； 不容许另外的调味剂。  When the maximum number of flavors per Serving, the system will not allow the selection of any additional flavors; not allow additional flavoring agents. 用户应能够通过按压取消按钮并选择想要的调味剂改变调味剂选择。  The user should be able to cancel by pressing the button and select the flavor you want to change the flavor selection. 用户应能够通过第一取消选择调味剂改变调味剂选择，然后选择想要的调味剂。  The user should be able to change a first deselect flavorants flavor selection, and by selecting the desired flavor. 单元应监控调味剂的使用循环，并为用户在对于每个调味剂的低水平的显示上提供指示，用于早期警告调味剂用完。  The unit shall monitor use cycles of flavors and provide an indication to the user on a low level for a display of each flavor, flavor for early warning of running out. 添加物由鲜果和酸奶的2种类型的选择组成。  Two types of additives from the fruit and yogurt selection of the composition. 仅酸奶自动分送;代替分送，鲜果需要人工添加。 Only yoghurt automatic dispensing; place of dispensing, need to manually add the fruit. 鲜果选择用于计算分送的量。 Fruit selected for calculation dispensed. 在接收冰和水果之前，水果放入杯子中。 Prior to receiving the ice and fruit, fruit into the cup. 选择添加物的最小数量应为0。  additive should be selected minimum number is zero. 水果调味剂和酸奶应储存在设计成将产品温度保持在34°F-38°F之间的冷藏基部内。  Fruit flavors and yogurt shall be stored in is designed to maintain the product temperature between 34 ° F-38 ° F refrigerated base. 基部设计使得调味剂能储存在“盒内袋”包装中。  Design of such flavoring base can be stored in the "Bag box" packaging. 基部容纳调味剂栗(至多8个)和全部相关的分送管系以及空气电磁开关。  Li a base receiving a flavoring agent (up to 8), and all associated piping and an air distribution electromagnetic switch. 基部安装在脚轮上，以允许通向单元的后部用于清洁。  a base mounted on castors to allow access to rear of unit for cleaning. 基部设计成满足NSF和UL要求。  a base designed to meet NSF and UL requirements. 基部提供一种空气输送并返回分送器部分以保持分送喷嘴(每NSF)的产品温度的方法。  of the base to provide an air delivery and return to dispenser section to maintain the dispensing nozzle method (per NSF) of the product temperature. 思慕雪机器具有机载制冰能力。  onboard the smoothie machine having an ice making capacity. 除制冰能力之外，该装置还应具有储存冰的制冰能力。  In addition to the ice making performance of the ice making device should also have the ability to store ice. 制冰机应产生硬颗粒冰或者将方块冰减小成较小粒度。  ice maker should produce a hard block of ice or ice particles reduced to smaller particle size. 通常在思慕雪制造过程期间分送冰，但也可单独地分送。  Generally during dispensing ice smoothie manufacturing process, but can also be separately dispensed. 该系统应允许以单独的方式(S卩，没有调味剂或水)分送冰。  The system should allow a separate manner (S Jie, flavoring or without water) dispensing ice. 冰应以允许标定用于各种饮品杯子大小的定量分送。  Ice should be calibrated to allow for the quantification of various drinks dispensing cup sizes. 在选择仅冰按钮时，系统应前进至杯子大小选择。  When choosing the ice only button, the system shall proceed to cup size selection. 仅冰按钮只应当在没有选择调味剂时有效。  It is only the ice-only button selection valid when no flavoring agent. 相反的，在选择调味剂时，应使仅冰按钮无效。 Conversely, when the selected flavoring, ice should only invalid button. 应具有允许清洁分送器流体线的供应维护模式。  should permit the dispenser supplies the cleaning fluid line maintenance mode. 系统可允许小、中等大和特大杯子大小的选择，还提供由顾客确定的另外的杯子大小。  The system may allow for small, medium large and extra-large cup size selection, we offer an additional cup sizes determined by customer. 在单元上形成用于杯子储存的设备。  forming apparatus for cup storage on the unit. 杯子大小选择可触发分送过程。  cup size selection may trigger the dispensing process. 分送过程应利用杯子大小作为定标因数以计算配料量;水、冰和选择的调味剂/添加物。  dispensing process shall use the cup size as a scaling factor to calculate the amount of ingredients; water, ice and selected flavors / additives. 分送的配料及其数量可用于确定混合形式。  dispensing ingredients and quantities used to determine the mixed form. 水果调味剂配料可利用空气驱动的调味品栗分送。  Fruit flavor ingredients available air driven condiment dispensing Li. 调味品栗可位于冷藏间内。  Li flavoring may be located within the cold room. 调味品栗应是可拆除的，以便于进入进行保养。  Li condiments should be removable, facilitate access for maintenance. 调味品栗可利用安装在流向栗的空气中的电磁阀供能。  Li condiment available solenoid valves installed in the air flow direction in the Li energized. 应通过在控制器中常驻的饮品处方来确定用于每个思慕雪的配料的量，包括调味流体、水、冰和添加物。  should be used to determine the amount of each ingredient by smoothie drinks resident in the controller formulation, including flavored fluids, water, ice and additives. 混合过程包括在杯子中配料的实际混合和随后的清洁周期，清洁周期保证用于下一次混合周期的搅拌器叶片是干净的。  the process comprising mixing the ingredients in the actual mixing cup and subsequent cleaning cycles, the cleaning cycle to ensure that the stirrer blade for the next mixing cycle is clean. 混合操作应与分送操作不同步。  mixing operation should not be synchronized with the dispensing operation. 混合操作可由当前混合形式确定。  mixing operation is determined by the current mixed form. 混合操作应由至少2个步骤组成，混和与清洁。  mixing operation shall be at least two steps, mixing and cleaning. 混合器应设计为附装在制冰机和冷藏基部上的模块。  mixer should be designed as a module attached to the ice machine and refrigerated base. 混合器模块应由混合器转轴、叶片、线性滑块、杯子保持器和喷水嘴组成。  mixer module shall mixer shaft, blade, a linear slide, cup holder and the spray nozzle components. 混合器模块门应包含传感器和/或开关，以定位门位置并提供锁定。  mixer module door shall contain sensors and / or switches, and to provide a locking position of the locating gates. 当饮品已经被分送时，其被放置到混合器模块的杯子保持器内，关闭模块门。  When the beverage has been dispensed, which is placed into the mixer cup holding module, a module door closed. 当指示门关闭时，混合器开始混合处理。 When indicating that the door is closed, the mixer mixing process begins. 混合器转轴应从初始位置向下转位(通过线性滑块)到饮品杯子内X英寸，其中X取决于所选择的饮品杯子的高度。  The initial position of the mixer shaft should be indexed downward (via linear slide) to the drink cup inches X, where X depends on the height of the selected drink cup. 应在刚刚接触杯子中的配料之前为混合器叶片供能。  should be energized to immediately before the contact blade mixer cup ingredients. 转轴可停留在初始接合点X秒时间，其由搅拌器形式确定。  shaft can stay in initial engagement point X seconds, which is determined by the agitator forms. 然后，转轴可转位到杯子深度X的饮品内，其由搅拌器形式确定。  Then, the spindle indexable depth X into a drink cup, which is determined by the agitator forms. 转轴可停留在该位置X秒时间，其由搅拌器形式确定。  The shaft may stay in position X seconds, which is determined by the agitator forms. 然后，转轴可向上运动到另一位置，并继续混合预定时间段(例如3秒），其由搅拌器形式确定。  Then, the shaft may be moved upwardly to another location, and mixing is continued for a predetermined time period (e.g., 3 seconds), the form of which is determined by the agitator. 完成之后，应将混合器叶片改变到预定速度并且继续转动，直到其断开与流体的接触，在此，为搅拌器去能并使其返回初始位置。  After completion, the mixer blades should be changed to a predetermined speed and continues to rotate until it breaks contact with the fluid, in this case, the stirrer is de-energized and allowed to return to the initial position. 然后打开门，移走饮品并用于供应。  then opens the door for the supply and removal of drink. 在最后的混合器程序之后，当关闭混合器门时，模块应开始清洁过程。  After the last mixer procedure, when the mixer door is closed, the module shall begin the cleaning process. 清洁过程应从转轴下降到混合空腔内并为转轴叶片供能开始。  The cleaning process should be lowered into the mixing cavity shaft and energized to start rotating shaft blade. 在混合器清洁周期期间为转轴叶片供能之后，应为水电磁阀供能达到由用户确定的时间，例如3秒，并开始喷淋冲洗转轴和空腔。  After energizing the rotating shaft of the blades, the mixer should be supplied during the water cleaning cycles to achieve a solenoid valve of time determined by the user, for example 3 seconds and begin to spray rinsing shaft and the cavity. 可为与水管路连接的空气电磁阀供能，以在混合器清洁周期期间提供高压水浪， 以及提供气浪以有助于从搅拌器模块移除剩余的水。  may be able to supply air solenoid connected to the water line, to provide a high pressure water during the mixer cleaning cycle wave, and to assist in providing blast remaining water is removed from the mixer module. 模块可设计成用除水之外的消毒剂运转。  module may be designed to operate with a disinfectant other than water. 该单元能够检测消毒剂流体的逸出。  The detecting unit is capable of escaping fluid sterilant. 当混合器清洁周期已终止时，为电磁阀去能并从搅拌器模块排出冲洗水。  When the mixer cleaning cycle has terminated, the solenoid valve is de-energized and rinse water is discharged from the mixer module. 混合形式确定在混合操作期间执行的步骤。  mixed form determination step performed during the mixing operation. 混合形式中的每个步骤确定转轴的速度和时间（多长时间内多快)以及位置(停留时间）。 Mixed form in each step of determining shaft speed and time (how fast for how long) and the position (dwell time). 包括混合形式的常规和添加物可用于每个杯子大小。  and include conventional additives mixed form available for each cup size. 当选择添加物时，混合器应采用添加物混合形式。  When selecting an additive, the additive mixture in the form of a mixer should be used. 混合形式应为顾客可配置的。  Mixed forms should be configured for the customer. UIC应支持FAT16格式的USB储存装置的处理。  UIC processing FAT16 format USB storage device should support. UIC应能够与C总线连接。  UIC shall be connected to the C bus. UIC可提供1-按压即时语言切换。  UIC provide 1- pressing language switching instant. UIC可为P总线主控器。  UIC may be a P bus master. 继电器板可负责确定系统配置，包括载入的流体、搅拌器的数量以及中继搅拌器控制板。  The relay board may be responsible for determining system configuration, including loading fluid, the amount and the agitator stirrer relay board. 外围总线或P总线应将用户界面控制器连接到系统的外围设备（系统继电器板和混合器控制板)上。  a peripheral bus or P-Bus shall connect the user interface to the peripheral device controller system (relay system board and the control board mixer) on. 外围设备P总线应采用RS-485。  P-bus peripheral devices should be RS-485. 还应注意，术语“第一”、“第二”、“第三”、“上部”、“下部”及类似词语可在此用于修饰不同的部件。  It should also be noted that the terms "first," "second," "third", "upper", "lower" and similar terms may be used herein to modify various elements. 这些修饰语并不表示修饰部件的空间、顺序或分级次顺，除非特别说明。 These modifiers do not represent a space modification means, sequentially or fractional subordinated, unless otherwise specified. 虽然已参照一个或更多个示范实施例说明了本公开，但本领域技术人员可以理解，在不脱离本公开的范围的情况下，可以做出各种改变，并且其中的部件可由等同物替代。  Although reference to one or more exemplary embodiments described embodiments of the present disclosure, those skilled in the art will appreciate, without departing from the scope of the present disclosure, may make various changes, and wherein the components may be equivalents may be substituted. 另外，在不脱离其范围的情况下，可做出许多变型以将本公开的教导用于具体的情况或材料。 Further, without departing from the scope thereof, many modifications may be made to the teachings of the present disclosure for a particular situation or material. 因此，我们预期，本公开不局限于作为预期的最佳方式公开的具体实施例，而本公开将包括落入所附权利要求范围内的所有实施例。 Thus, we expected that the present disclosure is not limited to the particular embodiment disclosed as the best mode contemplated, but that the disclosure will include all embodiments falling within the scope of the appended claims. 1. 一种集成的饮料搅拌系统，包括： 至少一个系统控制器； 冰定量模块； 配料模块； 分送装置，所述分送装置与所述冰定量模块和/或所述配料模块通信，所述分送装置将来自所述配料模块的配料和/或来自所述冰定量模块的冰分送到饮料容器内；以及搅拌器模块，所述搅拌器模块具有集成的清洁装置，所述搅拌器模块在内部具有转轴和叶片，所述转轴和所述叶片能够下放到进入所述饮料容器的位置且能够缩回到其不工作的位置而与所述饮料容器分离，所述搅拌器模块的所述转轴和所述叶片在位于所述内部内的所述饮料容器中搅拌和/或混合所述冰和/或所述配料，以将由此生产的饮料连同所述饮料容器交付给消费者，以及当所述搅拌器模块中不存在在其中搅拌和/或混合所述冰和/或所述配料的所述饮料容器时，所述搅拌器模块清洁所述搅拌器模块的 1. An integrated beverage mixing system, comprising: at least one system controller; ice dosing module; ingredient module; dispensing device, the dispensing means and / or ice in communication with said dosing module or modules of the ingredient, the said means for dispensing the ingredients from ingredient module and / or ice from the ice to the dosing module partial beverage container; and a stirrer module, the module has an integrated cleaning agitator means, said agitator module having a shaft and a blade in the interior of the shaft and the blade can be lowered into position into the beverage container and can be retracted into its inoperative position separated from the beverage container, the said agitator module said shaft and said stirring blade in the beverage container located within the interior and / or mixing of the ice and / or the ingredient, to thereby produce said beverage container together with a beverage delivered to the consumer, and when the agitator is not present in the module, wherein the stirring and / or mixing of the ice and / or the ingredients of the beverage container, the agitator cleaning the agitator module module 所述内部、所述转轴和与所述饮料容器分离的所述叶片， 其中所述系统控制器基于来自所述系统控制器的菜单选择提供所述冰定量模块、所述配料模块和所述搅拌器模块之间的集成控制， 所述转轴和所述叶片在所述饮料容器中升降到一位置持续预定的时长，并且所述位置和所述预定的时长受所述系统控制器控制。 Said interior of said shaft and separated from the beverage container to the blade, wherein the system controller provides selection based on the menu of the ice dosing module from the system controller, the module and the stirring ingredient between the integrated control module, the shaft and the lifting blades in said beverage container to a position for a predetermined length of time, and the location and the predetermined length by the system controller. 2. 根据权利要求1所述的系统，其中，来自所述冰定量模块的冰和来自所述配料模块的至少一种配料经由所述分送装置分送到饮料容器内；以及，具有所述冰和所述配料的所述饮料容器放置在所述搅拌器模块中，用于搅拌和/或混合所述饮料容器中的所述冰和所述配料，由此生产所述饮料。 2. The system according to claim 1, wherein the ice from the ice and the dosing module ingredient from the module via the at least one ingredient within a beverage dispensing apparatus is distributed to the vessel; and, having the the ice beverage container and the ingredients placed in the blender module, for stirring and / or the ice, and the mixed ingredient in the beverage container, thereby producing the beverage. 3. 根据权利要求2所述的系统，其中，当在最后的搅拌和/或混合周期之后从所述搅拌器模块移走所述饮料容器时，所述系统经由所述清洁装置启动所述搅拌器模块的清洁模式。 3. The system according to claim 2, wherein when after the last stirring and / or mixing period is removed from the beverage container of the blender module, the system starts the cleaning device via said stirring cleaning mode module. 4. 根据权利要求1所述的系统，还包括与所述冰定量控制模块通信的制冰器、碎冰器/碾冰器、削冰器或者薄片冰或方块冰装置。 4. The system of claim 1, further comprising the ice maker of the ice portion control module in communication, an ice / Nianbing, a cut ice or block ice or flake ice apparatus. 5. 根据权利要求1所述的系统，其中，所述系统控制器包括具有触摸屏显示器的菜单选择控制器，用于饮料选择的定制。 5. The system according to claim 1, wherein said system controller includes a touch screen display of the menu selection controller for selecting the customized beverage. 6. 根据权利要求1所述的系统，其中，所述冰定量控制模块包括：用于储存冰的冰料箱；所述冰料箱的可转动基座，所述可转动基座具有至少一个定量控制隔室;至少一个校平叶片，所述至少一个校平叶片确保所述冰在每个定量控制隔室内的体积一致;分送口，所述分送口在选择的定量控制隔室与所述分送装置之间连通，由此允许所述隔室中的冰分送到所述分送装置内；以及与所述控制器通信的传感器，所述传感器确定分送到所述分送装置内的冰的量。 6. The system according to claim 1, wherein the ice portion control module comprising: means for storing ice ice bin; a rotational base of the ice bin, said base having at least one rotatable quantitative control compartment; at least one straightening vane, the at least one straightening vane control to ensure consistency of the ice compartment in each metered volume; dispensing port, the dispensing port and the quantitative control of the selected compartment communication between said dispensing means, thereby allowing the ice compartment is dispensed into the dispensing means within; a sensor and a controller in communication with said sensor determines the dispensed into the dispensing amount of ice in the device. 7. 根据权利要求2所述的系统，其中，所述搅拌器模块包括:壳体；门，所述门提供通向所述壳体的内部的通道;容器密封件，所述容器密封件围绕所述转轴布置，所述容器密封件能够在搅拌和/或混合过程中密封所述饮料容器，以及防止所述饮料容器围绕所述转轴转动；以及容器保持器。 7. The system according to claim 2, wherein said blender module comprises: a housing; a door providing the passageway leading to the interior of the housing; container sealing member, said sealing member around the container the shaft arrangement, said sealing member capable of sealing the container with stirring and / or mixing process of the beverage container, preventing the beverage container and around said axis of rotation; and a container holder. 8. 根据权利要求7所述的系统，还包括连接到所述容器保持器上的水和/或清洁和/或消毒溶液供给系统，用于在完成搅拌或混合每种饮料之后，清洁和/或消毒至少所述壳体的所述内部、所述转轴、所述叶片和所述容器密封件。 8. The system of claim 7, further comprising a connection to a water and / or cleaning and / or sanitizing solution supply system on said container holder, for the completion of stirring or mixing after each beverage, cleaning and / or sterilizing at least the interior of said housing, said shaft, said blade and said container seal. 9. 根据权利要求2所述的系统，其中，所述搅拌器模块基于与所述系统控制器通信的搅拌和/或混合指令搅拌和/或混合所述饮料容器中的所述冰和所述配料。 9. The system according to claim 2, wherein the module is based on a stirrer and stirred for stirring and / or mixing instructions in communication with the system controller and / or the mixing of the ice and beverage containers ingredients. 10. 根据权利要求1所述的系统，还包括能够同时或独立操作的多个所述分送装置和具有所述集成的清洁装置的多个所述搅拌器模块。 10. The system according to claim 1, further comprising a plurality of said agitator means capable of dispensing a plurality of modules simultaneously or independently operated and the cleaning device having integrated. 11. 根据权利要求10所述的系统，当使用所述多个搅拌器模块时，所述系统还包括指示器，所述指示器能够产生指示哪个搅拌器模块在使用或不在使用的信号。 11. The system of claim 10, when a plurality of the stirrer modules, said system further comprising an indicator capable of generating a signal indicative of the use or not use a stirrer which the module. 12. —种用于生产至少一种饮料方法，所述方法包括： 通过控制器从菜单选择饮料； 基于所述菜单选择，将冰和/或至少一种配料定量和/或分送到饮料容器内； 将具有所述冰和所述饮料配料的所述饮料容器定位在所述搅拌器模块的壳体的内部，所述搅拌器模块在所述内部具有转轴和叶片并且所述搅拌器模块包括集成的清洁装置，所述转轴和所述叶片能够下放到进入所述饮料容器的位置且能够缩回到其不工作的位置而与所述饮料容器分离； 在所述饮料容器布置在所述搅拌器模块中的同时，用所述转轴和所述叶片在所述饮料容器中搅拌和/或混合所述冰和所述配料，由此生产连同所述饮料容器一起交付给消费者的饮料；以及启动清洁模块，其中，在搅拌和/或混合过程完成并且从所述搅拌器模块移走所述饮料容器时，清洁所述搅拌器模块的所述内部、所 12. - for the production of at least one kind of beverage, the method comprising: selecting from the menu by the controller beverage; selection based on the menu, the ice and / or at least one ingredient quantitative and / or dispensed into the beverage container within; having the ice and beverage ingredients the beverage container is positioned within the housing of the blender module, the module having a shaft and the agitator blades and the agitator inside the module comprises integrated cleaning apparatus, the rotating shaft and the blade can be lowered into position into the beverage container and can be retracted into its inoperative position and separated from the beverage container; said beverage container disposed in the stirring while the module is, with the shaft and the stirring blade in the beverage container and / or mixing of the ingredients and the ice, thereby producing said beverage container together with the delivered beverage to the consumer; and start cleaning module, wherein the stirring and / or mixing process is completed and is removed when the interior of the beverage container, the agitator cleaning module from the module with a stirrer, the 转轴和与所述饮料容器分离的所述叶片，用于后续使用， 其中， 所述控制器提供所述菜单选择、冰的定量和分送、基于所述菜单选择的所述配料的分送与基于所述菜单选择的搅拌和/或混合之间的集成控制，所述转轴和所述叶片在所述饮料容器中升降到一位置持续预定的时长，并且所述位置和所述预定的时长受所述系统控制器控制。 Dispensing separate from the shaft and the blade beverage container, for subsequent use, wherein the controller provides the menu selection, quantification and dispensing ice, said selection based on the menu and ingredients integrated control between the stirring and / or mixing the menu selection, the elevator shaft and the blade in the beverage container to a position for a predetermined length of time, and the location and the predetermined length by the system controller. 13. 根据权利要求12所述的方法，其中，所述菜单显示在触摸屏上，用于饮料选择的定制。 13. The method according to claim 12, wherein, the menu is displayed on the touch screen for customizing the selected beverage. 14. 根据权利要求12所述的方法，还包括将水和/或清洁和/或消毒溶液供给到所述容器保持器，用于在使用后清洁和/或消毒至少所述壳体的所述内部、所述转轴、所述叶片和所述容器密封件。 14. The method according to claim 12, further comprising water and / or cleaning and / or disinfecting solution is supplied to the container holder, after use for the cleaning and / or sanitizing at least said housing interior, said rotating shaft, said blade and said container seal. 15. 根据权利要求12所述的方法，还包括以下步骤:在最后的搅拌和/或混合程序以及使所述门返回到关闭位置之后激活所述清洁模块。 15. The method according to claim 12, further comprising the step of: at the end of stirring and / or mixing process and return the door to the closed position after activation of the cleaning module. 16. 根据权利要求12所述的方法，还包括经由所述控制器激活所述清洁模块的步骤。 16. The method according to claim 12, further comprising the step of activating the cleaning module, via the controller. 17. 根据权利要求12所述的方法，其中，分阶段或同时地生产多种饮料。 17. The method of claim 12, wherein, in stages or simultaneously produce a variety of beverages. 18. 根据权利要求12所述的方法，还包括当基本上同时生产多种饮料时，同时操作多个搅拌器模块的步骤。 18. The method according to claim 12, further comprising the step of producing a variety of beverages when substantially simultaneously, while operating the stirrer plurality of modules. 19. 根据权利要求12所述的方法，其中，当分阶段生产多种饮料时，包含所述冰和所述配料的所述饮料容器被搅拌和/或混合或者被清洁和/或消毒，同时，另外的饮料容器被填充所述冰和/或所述配料。 19. The method of claim 12, wherein, when a plurality of production stages beverage, said beverage container comprising the ingredient and the ice was stirred and / or mixing or is cleaned and / or disinfected at the same time, Further the beverage container is filled with ice and / or the ingredients. IT1401822B1 (en) * 2010-09-24 2013-08-28 Casadio Prati Vending machines, particularly for cold drinks. MX349454B (en) 2012-02-27 2017-07-31 Coca Cola Co Automated beverage dispensing system with cup lidding and beverage identification. ITBO20130134A1 (en) * 2013-03-28 2014-09-29 Carpigiani Group Ali Spa Method and apparatus for producing and dispensing liquid food products or semi-liquid. ITUB20160854A1 (en) 2016-02-19 2016-05-19 Sandenvendo Europe S P A of liquid substance dispensing device for preparing beverages. NL1000603C2 (en) * 1995-06-20 1996-12-23 Rachid Miliani A device for dosing and dispensing solid substances. MX2009001922A (en) * 2006-08-30 2009-03-09 Rich Products Corp Chilled topping dispenser.